The aggregate market value of the voting stock held by non-affiliates computed on June 30, 2016, based on the sales price of $1.95 per share: Common Stock - $6,066,670. All directors and executive officers have been deemed, solely for the purpose of the foregoing calculation, to be “affiliates” of the registrant; however, this determination does not constitute an admission of affiliate status for any of these shareholders. This Annual Report on Form 10-K for the year ended December 31, 2016 (or Annual Report) includes forward-looking statements that involve risks and uncertainties within the meaning of the Private Securities Litigation Reform Act of 1995. Other than statements of historical fact, all statements made in this Annual Report are forward-looking, including, but not limited to, statements regarding industry prospects, future results of operations or financial position, and statements of our intent, belief and current expectations about our strategic direction, prospective and future results and condition. In some cases, forward-looking statements may be identified by words such as “will,” “should,” “could,” “may,” “might,” “expect,” “plan,” “possible,” “potential,” “predict,” “anticipate,” “believe,” “estimate,” “continue,” “future,” “intend,” “project” or similar words. Our ability to meet the NASDAQ Capital Market continuing listing standards and maintain our listing. You should carefully consider and evaluate all of the information in this Annual Report, including the risk factors listed above and elsewhere, including “Item 1A. Risk Factors” below. If any of these risks occur, our business, results of operations and financial condition could be harmed, the price of our common stock could decline and you may lose all or part of your investment, and future events and circumstances could differ significantly from those anticipated in the forward-looking statements contained in this Annual Report. Unless otherwise required by law, we undertake no obligation to release publicly any updates or revisions to any such forward-looking statements that may reflect events or circumstances occurring after the date of this Annual Report. RLJ Entertainment, Inc. (RLJE or the Company) is a premium digital channel company serving distinct audiences through its proprietary subscription-based digital channels (or Digital Channels), Acorn TV and UMC or Urban Movie Channel, which have consistently maintained a 100% year-over-year growth rate since launch in 2011 and 2015, respectively. Acorn TV features high-quality British and International mysteries and dramas. UMC showcases quality urban programming including feature films, documentaries, original series, stand-up comedy and other exclusive content for African-American and urban audiences. RLJE exclusively controls, co-produces, and owns a large library of British Dramas, Independent Feature Films and Urban content. RLJE content IP ownership includes a 64% equity participation in Agatha Christie Ltd. (or ACL). RLJE’s IP licensing and media distribution operations support its Digital Channels by increasing program flow and monetizing content across all windows of exploitation. RLJE was incorporated in Nevada in April 2012. On October 3, 2012, we completed the business combination of RLJE, Image Entertainment, Inc. (or Image) and Acorn Media Group, Inc. (or Acorn Media or Acorn), which is referred to herein as the “Business Combination.” We have a direct presence in North America, the United Kingdom (or U.K.) and Australia with strategic sublicense and distribution relationships covering Europe, Asia and Latin America. The use of “we,” “our” or “us” within this Annual Report is referring to RLJE and its subsidiaries. 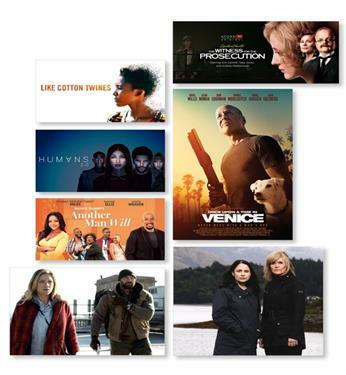 Acorn TV was launched in July 2011 and features mysteries, dramas, and comedies from Britain and beyond with exclusive premieres of popular series including Agatha Christie’s Poirot, Foyle’s War, Doc Martin, A Place to Call Home, Agatha Raisin, and Brokenwood Mysteries. Acorn TV can be accessed through Apple TV, iPhone, iPad, Android devices, Roku, Fire TV, Samsung SmartTVs, Opera devices and online at www.acorn.tv. The following table shows quarterly subscriber growth which approximates 100% year-over-year for Acorn TV. UMC was launched in 2015 targeting a broad range of urban/African-American households in the United States (or U.S). The channel provides compelling African-American and urban-focused content in an underserved streaming environment to an interested audience. The channel leverages our current urban content library along with investments in new content in the form of licensing acquisitions, which premiere on UMC such as: #Lucky Number, Knucklehead, Nina, Second Coming, Like Cotton Twines, Breaking a Monster, No Regrets and Another Man Will. UMC can be accessed through Apple TV, iPhone, iPad, Roku, FireTV, Samsung SmartTVs, Opera devices and online at www.UMC.tv. The following table shows quarterly subscriber growth which approximates 300% year-over-year for UMC. Our Digital Channels continue to perform strongly on Amazon Channels, an add-on streaming video service available to Amazon Prime customers. This strategic expansion into third-party distribution of our digital streaming services offers us a significant increase in addressable audience and brand awareness. All platforms offer a 7-day free trial to attract new subscribers. 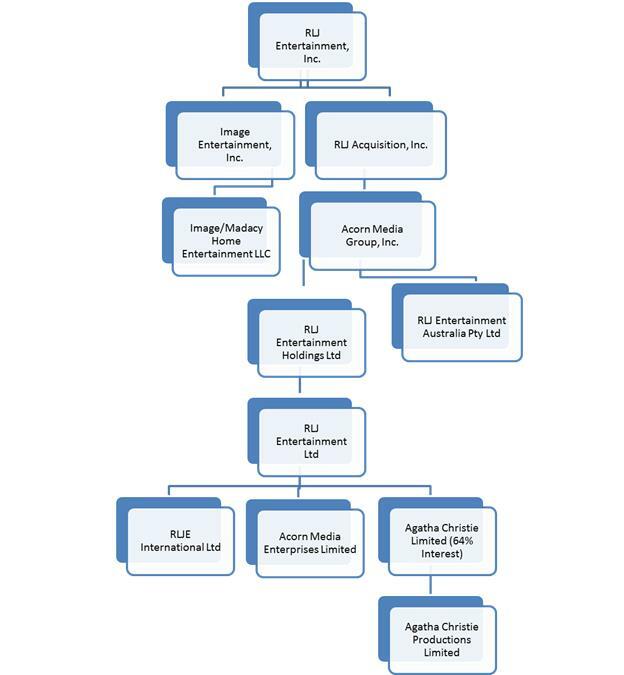 RLJE manages and develops our intellectual property rights on British drama and mysteries via RLJ Entertainment Ltd. and its subsidiaries (collectively RLJE UK, see company chart below). Our owned content includes 28 Foyle’s War made-for-TV films; multiple instructional Acacia titles; and through our 64% ownership interest of ACL, the Agatha Christie library. ACL is home to some of the world’s greatest literary works of mystery fiction, including Murder on the Orient Express, Death on the Nile and And Then There Were None and includes publishing and TV/film rights to iconic sleuths such as Hercule Poirot and Miss Marple. The Agatha Christie library contains a variety of short story collections, more than 80 novels, 19 plays and a film library of over 100 made-for-television films. In 2014, ACL published its first book, The Monogram Murders, since the death of Agatha Christie and has subsequently published its second, Closed Casket, in 2016. Our television productions are typically financed by the pre-sale of certain distribution rights, typically being international TV distribution rights, as well as tax credits. The pre-sale of these rights, alongside the realization of tax incentives, allows RLJE UK to reduce production risks. Through development, production and ownership of original drama television programming through our wholly-owned U.K. subsidiary, Acorn Media Enterprises Limited (or AME) and our 64%-owned subsidiary, ACL. We control an extensive program library in genres such as British mysteries and dramas, urban/African-American, action/thriller and horror, fitness/lifestyle and long-form documentaries. DVD and Blu-ray retail and online ecommerce. Wholesale distribution through digital, mobile, broadcast, cable partners, ecommerce and brick and mortar and traditional print catalog and ecommerce offerings (our Wholesale Distribution segment). Acquire long-term and exclusive broad exploitation rights for finished programs across key genres. To achieve the full potential growth of our Digital Channels, we have realigned our IP Licensing and Wholesale Distribution businesses to support the growth and profitability of Acorn TV and UMC. We are leveraging the proprietary content output from Agatha Christie Ltd. to strengthen the association of Acorn TV with the Agatha Christie brand. 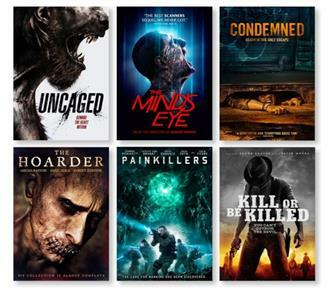 We are leveraging the Wholesale Distribution business for Acorn in the acquisition of broader content rights for Acorn TV and we are creating a secondary SVOD window for our feature films on UMC. Additionally, we are expanding the distribution footprint of Acorn TV and UMC, growing our marketing support and continuing to strengthen internal operational capabilities to understand our audiences. Our business model minimizes production and box-office risks by acquiring finished products with long-term rights over multiple platforms. We strive to maximize the full value of our program library by pursuing the development and acquisition of content and by actively managing all windows of exploitation. We undertake co-production opportunities through AME to secure greater rights control and exclusive windows for SVOD distribution on our Digital Channels. We believe that the convergence of television and the internet will promote the continued migration of consumers from bundled offering to a la carte subscription benefitting digital OTT platforms like Acorn TV and UMC. As a result, we have aligned our goals to (i) continue to develop unique brands that appeal to and capture dedicated audiences, (ii) develop strong content offerings that consumers are willing to pay for and (iii) provide superior service. Our goal is to continue to develop strong brands that create a destination that promotes consumer loyalty and maximizes our audiences’ experience. Our business model relies on developing and acquiring content that satisfies the desire of niche audiences for high quality entertainment within specific genres. We then monetize content across all platforms through carefully orchestrated windows of distribution. When developing content, we develop new treatments from the intellectual property (or IP) we own. We also acquire finished programs through long-term exclusive contracts. We invest in content offerings that we believe will meet or exceed management’s 20% return-on-investment (or ROI) threshold. Our definition of ROI is the return on investment over the life of the investment (generally 7 - 10 years), and it is calculated by dividing estimated content earnings by its initial investment. Content earnings are calculated by estimating the future earnings, which is after subtracting costs (including overhead) necessary to maintain the investment, and discounting the earnings using a risk-appropriate rate. RLJE invests approximately $30 million to $40 million annually in content. These investments are added to our balance sheet as either content investments or payments on royalty and distribution obligations. Content investments are expensed through the statement of operations as either content amortization or as royalty expense. Management is focused on content investments that generate high financial returns and have strong strategic value to our Digital Channels and Wholesale Distribution business. Management exited content genres and content agreements that were either not profitable, not meeting our financial goals, or areas where we could not acquire comprehensive long-term distribution rights or control over the content. Additionally, management completed the re-alignment of our investment across key genres, mainly British mystery and dramas, urban, action-thriller, horror and documentaries. Known for specializing in the best of British television, Acorn Media Group (or Acorn) monetizes high-quality dramas and mysteries via our digital channel Acorn TV in the U.S. and Canada and to the broadcast/cable and home video windows within the North American, U.K. and Australian markets. In addition to consistently strong national PR, our primary marketing to consumers is through Acorn TV offering viewers over 1,800 hours of high-quality content including exclusive premieres of popular series like A Place to Call Home, Murdoch Mysteries, Agatha Raisin, Doc Martin and Agatha Christie’s Poirot. We further leverage the Acorn brand through a marketing and wholesale partnership with direct-to-consumer specialist Universal Screen Arts (or USA). USA purchases wholesale inventory from us and pays us a license fee for the exclusive right to publish a branded Acorn direct-to-consumer catalog and website (acornonline.com), which market and sell Acorn content on DVD and Blu-ray alongside complementary merchandise. Our Acorn brand generates revenues that are reported in the Digital Channels (Digital Channels revenues), IP Licensing (Agatha Christie revenues) and Wholesale Distribution segments (home video and digital download sales). RLJE UK provides us access to new content as a permanent presence in the U.K. television programming community, and manages and develops our intellectual property rights. Our owned content includes the Agatha Christie branded library, through our 64% ownership interest in ACL acquired in February 2012. The bestselling novelist of all time, Agatha Christie has sold more than 2 billion books, and her work contains a variety of short story collections, more than 80 novels, 19 plays and a film library of over 100 TV productions. Acorn is known for mystery and drama franchises and has been releasing TV movie adaptations featuring Agatha Christie’s two most famous characters, Hercule Poirot and Miss Marple, for over a decade; both series ranking among our all-time bestselling lines. 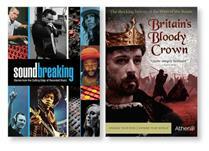 Through ACL, we manage the vast majority of Agatha Christie publishing and television/film assets worldwide and across all mediums and actively develop new content and productions. In addition to film and television projects, in 2014, ACL published its first book, The Monogram Murders, since the death of Agatha Christie and has subsequently published its second, Closed Casket, in 2016. The Agatha Christie family retains a 36% holding, and James Prichard, Agatha Christie’s great-grandson, remains Chairman of ACL. UMC, or Urban Movie Channel, was created by Robert L. Johnson, Chairman of RLJ Entertainment and founder of Black Entertainment Television (BET). UMC is a premium subscription-based service which features quality urban content showcasing feature films, documentaries, original series, stand-up comedy and other exclusive content for African American and urban audiences. New titles include live stand-up specials like Gary Owen: I Agree With Myself, and performances featuring The Daily Show host Trevor Noah and comedic rock star Kevin Hart; comedy films including #Lucky Number starring Method Man; dramas including Knucklehead starring Emmy Award winning actress Alfre Woodard and Gbenga Akinnagbe and Second Coming starring Golden Globe Award winner Idris Elba and Nadine Marshall; including Tim Reid Presents: The Legacy Documentary Series; action/thrillers including The Sin Seer starring Isaiah Washington and Lisa Arrindell Anderson; and stage play productions including David E. Talbert’s Another Man Will. Select UMC content is also monetized in the home video window in partnership with the RLJE brand. RLJ Entertainment (or RLJE) is a leading film and television licensee focusing on action, thriller, horror independent feature films and urban content in partnership with our digital channel UMC. RLJE licenses exclusive long-term exploitation rights across all distribution channels, with terms ranging generally from 5 to 25 years. RLJE content is currently distributed primarily in the U.S. and Canada through theatrical, broadcast/cable, physical and digital platforms. In 2014, we began to exploit RLJE content in the U.K. and Australia. Our RLJE titles that generated the highest amount of revenues in 2016 were I.T., Kickboxer, Bone Tomahawk and Criminal Activities. All of the revenues generated by the RLJE brand are included in our Wholesale Distribution segment. We currently use several registered trademarks including: RLJ Entertainment, Acorn, Acorn Media, Acorn TV and UMC - Urban Movie Channel. We also currently use registered trademarks through our 64%-owned subsidiary ACL including: Agatha Christie, Miss Marple and Poirot. The above-referenced trademarks, among others, are registered with the U.S. Patent and Trademark Office and various international trademark authorities. In general, trademarks remain valid and enforceable as long as the marks are used in connection with the related products and services and the required registration renewals are filed. We believe our trademarks have value in the marketing of our products. It is our policy to protect and defend our trademark rights. Management views the operations of the Company based on three distinct reporting segments: (1) proprietary subscription-based digital channels (or Digital Channels); (2) Intellectual Property Licensing (or IP Licensing); and (3) Wholesale Distribution. Operations and net assets that are not associated with any of these operating segments are reported as “Corporate” when disclosing and discussing segment information. The Digital Channels segment distributes film and television content through our Digital Channels, Acorn TV and UMC. The IP Licensing segment includes intellectual property rights that we own, produce and then exploit worldwide in various formats including DVD, Blu-ray, digital (download-to-rent and EST), TV VOD (cable and satellite), broadcast, streaming and licensing. Our Wholesale Distribution segments consist of the acquisition, content enhancement and worldwide exploitation of exclusive content in the same markets as our owned content. The Wholesale Distribution segment exploits the content to third parties such as Amazon, Best Buy, Costco, iTunes, Netflix, Target and Walmart. The Digital Channels segment exploits much of the same film and television content as the Wholesale Distribution segment but exploits the content directly in the U.S. to consumers through various proprietary SVOD channels. To date, we have two primary Digital Channels, which are Acorn TV and UMC. We are continually rolling-out new content on our Digital Channels and attracting new subscribers. As of December 31, 2016, Acorn TV and UMC had over 430,000 and 20,000 subscribers, respectively, compared to 195,000 and approximately 5,000 subscribers, respectively, at December 31, 2015. On June 24, 2016, we entered into a licensing agreement with Universal Screen Arts (or USA) whereby USA took over our Acorn U.S. catalog/ecommerce business and became the official, exclusive, direct-to-consumer seller of Acorn product in the U.S. During the quarter, we also ceased electronic email distribution of our Acacia catalogs. As a result of these actions, we have classified the U.S. catalog/ecommerce business as discontinued operations. Our IP Licensing segment includes owned intellectual property that is either acquired or created by us and is licensed for exploitation worldwide. The operating activities primarily consist of our 100% interest in Foyle’s War Series 8 and Series 9, as well as certain distribution rights pertaining to content acquired from ACL. Our IP Licensing segment does not include revenues generated or costs incurred from the exploitation of Foyle’s War Series by our Wholesale Distribution segment. Also included is our 64% interest in ACL. ACL is accounted for using the equity method of accounting given the voting control of the Board of Directors by the minority shareholder. Gross margin percentages generated from content that is owned is generally higher than margins realized from content that is not owned. As part of our growth strategy, we plan to continue to produce and own more intellectual property with an emphasis in British mysteries and dramas and urban programming. The Wholesale Distribution segment consists of acquisition of content, content enhancement and worldwide exploitation of exclusive content in various formats to third parties such as Amazon, Best Buy, Comcast, Costco, iTunes, Netflix, Target and Walmart. We market and exploit our exclusive content through agreements that generally range from 5 to 25 years in duration. While standard DVD comprise a significant portion of our revenues within this segment, Blu-ray titles and related revenues continue to increase given the format’s growing acceptance. We believe that the affordability of larger screen high-definition television or HDTV and ease of use as an entertainment hub in consumer households will continue to accelerate the conversion from standard DVD to Blu-ray formats for all demographics. We also believe there is an opportunity for us to realize increased revenues from customers of Acorn branded British mystery and drama product who will be converting their standard DVD collection to Blu-ray. It is expected that future revenues generated from DVD and Blu-ray sales will decline and sale of content to consumers through digital, streaming video and downloading will increase in future years. We engage in the exclusive licensing of the digital rights to our library of audio and video content. The demand for the types of programming found in our library continues to increase as new digital retailers enter the online marketplace. We seek to differentiate ourselves competitively by being a one-stop source for these retailers who desire a large and diverse collection of entertainment represented by our digital library. We enter into non-exclusive arrangements with retail and consumer-direct entities whose business models include the digital delivery of content. We continue to add video to our growing library of exclusive digital rights. The near-term challenges faced by all digital retailers are to develop ways to increase consumer awareness and integrate this awareness into their buying and consumption habits. Some of our digital retailers include Amazon, Comcast, Google Play, iTunes, Microsoft Xbox, Sony PlayStation and Vudu. We also license content to SVOD accounts like Amazon, Hulu, and Netflix in both exclusive and non-exclusive arrangements. We further exploit our product in the ‘traditional’ VOD channels, wherein consumers pay a fee to watch programming via their cable or satellite operators. This business model has expanded in recent years to include exclusive windows for VOD monetization prior to other channels of exploitation. For example, a high-profile release may be released on VOD prior to theatrical exploitation. In that instance, we would receive higher price points and better placement with our VOD providers. Our partners in the VOD space include AT&T/Dish, Comcast, DirecTV, iNDemand, Verizon and Vubiquity. We also exploit our product to cable networks in the United States. Traditionally, our Acorn product has been sold to PBS or its affiliated stations, while our feature-length product has been sold to a wide array of customers. These cable networks include HBO, Ovation, Showtime and Starz. Outside North America and the U.K., we sublicense distribution in the areas of home entertainment, television and digital through distribution partners such as Universal Music Group International, Universal Pictures Australia and Warner Music Australia, each of which pays us a royalty for their distribution of our products. Under a Distribution Services and License Agreement with Sony Pictures Home Entertainment (or SPHE), SPHE acts as our exclusive manufacturer in North America to meet our hard good manufacturing requirements (DVD and Blu-ray) and to provide related fulfillment and other logistics services in exchange for certain fees. Our agreement with SPHE expires in August 2019. Under our relationship with SPHE, we are responsible for the credit risk from the end customer with respect to accounts receivable and also the risk of inventory loss with respect to the inventory they manage on our behalf. In addition to conventional manufacturing, we also utilize SPHE’s capability to manufacture-on-demand (or MOD). MOD services are provided for replication of slower moving titles, which helps avoid replicating larger minimum quantities of certain titles, and can be used for direct-to-consumer sales as needed. Under our agreement, SPHE also provides certain operational services at our direction, including credit and collections, merchandising, returns processing and certain IT functions. Access to SPHE’s extensive scan-based trading network that features product placement in over 20,000 drug and grocery outlets. In the U.S., we outsource our video delivery, streaming services and cloud hosting for our web portfolio and Digital Channels. In the U.K., we have a fulfillment and logistics services arrangement with Sony DADC UK Limited, which is similar to the arrangement we have with SPHE in North America. Australian fulfilment and logistics are provided by Regency Media Pty Ltd.
RLJE maintains its own sales force and has a direct selling relationship with the majority of its broadcast and cable/satellite partners, and retail customers. We sell our programs to broadcasters, cable and satellite providers, traditional and specialty retailers, digital retailers, rental outlets, wholesale distributors and through alternative exploitation efforts, which includes direct-to-consumer print catalogs, proprietary ecommerce websites, direct-response campaigns, subscription service/club sales, proprietary SVOD subscription channels, home shopping television channels, other non-traditional sales channels, kiosks and sub-distributors. Examples of our key broadcast/cable/satellite partners are DirecTV, Comcast, Dish Networks, Charter, Verizon, HBO, Starz and public television stations. Examples of our key retail customers (including DVD/Blu-ray and digital retailers) are Amazon, Best Buy Co., Costco, Target, Walmart, iTunes, Vudu and Google Play. Examples of our key rental/subscription customers are Hulu, Netflix and Redbox. Examples of our key retail distribution partners who distribute to retailers on our behalf in the U.S. are Alliance Entertainment and Ingram Entertainment. Examples of key international retail and broadcast distribution partners are All3Media and ITV Global Enterprises. We also focus on special-market sales channels, to take advantage of our large and diverse catalog and to specifically target niche sales opportunities. Examples of our key specialty retail distribution partners include Midwest Tapes who distributes to libraries across the country and Waxworks who distributes to other specialty retailers including museums. Another special-market channel is scanned-based trading in conjunction with SPHE. Additionally, in connection with our Distribution Services and License Agreement with SPHE, SPHE agreed to perform certain sales and inventory management functions at Best Buy, Target, Redbox and Walmart. By using SPHE, we benefit from having a major studio present RLJE’s product alongside its own releases, which include well known motion pictures. SPHE is our primary vendor of record for shipments of physical product to North American retailers and wholesalers, and as the vendor of record, they are responsible for collecting these receivables and remitting these proceeds to us. In the U.K., similar services are provided by Sony DADC UK Limited. For the year ended December 31, 2016, sales to Amazon accounted for 15.3% of our net revenues. We do not have any other customers that accounted for more than 10.0% of our net revenues for the year. Our top five customers accounted for approximately 47.8% of our net revenues for 2016, which includes Amazon. At December 31, 2016, Netflix, SPHE and Amazon accounted for approximately 29.3%, 25.4% and 16.7%, respectively, of our gross accounts receivable. We face competition from other independent distribution companies, major motion picture studios and broadcast and internet outlets in securing exclusive content distribution rights. We also face competition from online and direct-to-consumer retailers, as well as alternative forms of leisure entertainment, including video games, the internet and other computer-related activities. The success of any of our products depends upon consumer acceptance of a given program in relation to current events as well as the other products released into the marketplace at or around the same time. Consumers can choose from a large supply of competing entertainment content from other suppliers. Many of these competitors are larger than us. Our DVD and Blu-ray products compete for a finite amount of brick-and-mortar retail and rental shelf space. Sales of digital downloading, streaming, VOD and other broadcast formats are largely driven by what is visually available to the consumer, which can be supported by additional placement fees or previous sales success. Programming is available online, delivered to smartphones, tablets, laptops personal computers, or direct to the consumers’ TV set through multiple internet-ready devices, cable or satellite VOD and other subscription-based digital channels. According to Pew Research based on a survey conducted in late 2016, 51% of U.S. adults own a tablet. We face increasing competition as these platforms continue to grow and programming providers enter into distribution agreements for a wider variety of formats. Our ability to continue to successfully compete in our markets is largely dependent upon our ability to develop and secure unique and appealing content, and to anticipate and respond to various competitive factors affecting the industry, including new or changing product formats, changes in consumer preferences, regional and local economic conditions, discount pricing strategies and competitors’ promotional activities. According to The Digital Entertainment Group (or DEG), consumer home entertainment spending in calendar 2016 exceeded $18 billion, up slightly from 2015. This slight increase was driven by the 16.4% increase in total digital spending showing that consumers are continuing to build their digital film libraries. Digital-format revenues include EST, VOD and subscription-based streaming. EST revenues for 2016 increased by 5% compared to 2015. 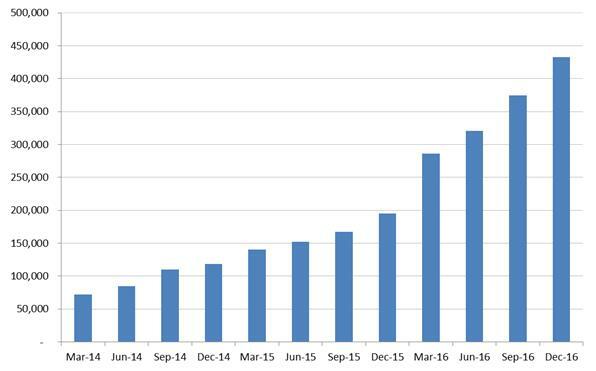 VOD revenues increased 6% in 2016 compared to 2015. Total subscription VOD increased by 22% in 2016 compared to 2015. DEG reported that in 2016 the number of U.S. households with Blu-ray playback devices, including set-top boxes and game consoles, was 88 million. DEG also reported that the number of households with HDTV is now more than 112 million, including 16 million 4K Ultra HD TVs. According to PricewaterhouseCoopers LLP’s Global Entertainment and Media Outlook for 2015 to 2019, consumer spending for the overall physical home entertainment segment in the U.S. is projected to decline at a 9.4% compound annual rate over the 2015‑2019 period to approximately $5.3 billion in 2019. While the decline in consumer spending on physical home entertainment continues, it is substantially offset by the increase in consumer spending on electronic home video, primarily as a result of the growth of over-the-top (OTT) digital channels and SVOD services. Consumer spending in the U.S. on electronic distribution is projected to increase at a 14.6% compound annual rate over the 2015-2019 period, reaching $16.5 billion in 2019. As of March 1, 2017, we had 69 U.S.-based employees, primarily at our Maryland and California locations. We had 23 employees at our U.K. and Australia locations. Our employees are primarily employed on a full-time basis. Under the menu “Investors—SEC Filings” on our website at www.rljentertainment.com, we provide free access to our Annual Reports on Form 10-K, Quarterly Reports on Form 10-Q, Current Reports on Form 8-K and all amendments to those reports as soon as reasonably practicable after such material is electronically filed with or furnished to the SEC. The information contained on our website is not incorporated herein by reference and should not be considered part of this Annual Report. These covenants may have an impact on our ability to raise additional debt or equity financing, compete effectively or take advantage of new business opportunities. Our Credit Agreement includes covenants that require us to maintain specified financial ratios. Our ability to satisfy those financial ratios can be affected by events beyond our control, and we cannot be certain we will satisfy those ratios. Although we are currently in compliance with such financial ratios, there is no assurance that our financial results during the current fiscal year will enable us to meet these ratios or that the lender under the Credit Agreement will agree to modify these ratios in the future should we be unable to comply with them. Our Credit Agreement provides that an “event of default” will occur under a number of circumstances, including (i) the failure to make payments when due, (ii) acceleration of payment obligations under other agreements, (iii) the failure to comply with the financial ratios and other covenants, (iv) breach of a representation or warranty in a material respect, (v) bankruptcy, (vi) judgments against RLJE or any of its subsidiaries over $250,000 individually or $500,000 in the aggregate at any time, (vii) a change of control, or (viii) a default under the investment documents with AMC. If an event of default occurs, the lender under our Credit Agreement may, unless we are able to negotiate an amendment, forbearance or waiver, require us to repay all amounts then outstanding under the Credit Agreement, which would have a material adverse effect on our liquidity, business, results of operations and financial condition. We may not be able to generate the amount of cash needed to fund our future operations. Our ability to fund planned capital expenditures and development efforts will depend on our ability to generate cash in the future. Our ability to generate cash is in part subject to general economic, financial, competitive, regulatory and other factors that are beyond our control. We cannot assure you that our business will generate sufficient cash flow from operations to fund our liquidity needs. Our liquidity depends on our cash-on-hand, operating cash flows and ability to collect cash receipts. At December 31, 2016, our cash and cash equivalents were approximately $7.8 million. Under the Credit Agreement, we are required to maintain $1.0 million of cash for the fiscal year ending December 31, 2016; $2.0 million for the fiscal year ending December 31, 2017 and $3.5 million for the fiscal year ending December 31, 2018 and all fiscal years thereafter for the term of the agreement. We rely on our cash-on-hand, operating cash flows and ability to collect cash receipts to fund our operations and meet our financial obligations. Delays or any failure to collect our trade accounts receivable would have a negative effect on our liquidity and could lead to an event of default under the Credit Agreement. We have pledged our intellectual property assets to secure our Credit Agreement, and this represents a risk to our business, results of operations and financial condition. In order to secure the financing necessary to operate our business, we pledged all of our intellectual property rights as collateral to secure our obligations under the Credit Agreement. If we were to default on our obligations under the Credit Agreement, we could forfeit our intellectual property and, thereby, a primary source of revenue. This could have a material adverse effect on our business, results of operations and financial condition. We may not be able to generate sufficient cash to service all our indebtedness, and we may be forced to take other actions, which may or may not be successful, to satisfy our obligations under our indebtedness. Our ability to make scheduled payments under our senior secured Credit Agreement depends on our financial and operating performance, which is subject to prevailing economic and competitive conditions and to certain financial, business and other factors beyond our control. We cannot assure you that we will maintain a level of cash flows from operating activities sufficient to permit us to pay the principal and interest due under the Credit Agreement or any future debt agreement. If our cash flows and capital resources are insufficient to fund our debt service and other obligations, we could face substantial liquidity problems and could be forced to reduce or delay capital expenditures and development efforts, sell assets or operations, seek additional capital or restructure or refinance our indebtedness. We cannot assure you that we would be able to take any of these actions, that these actions would be successful and permit us to meet our scheduled debt service obligations or that these actions would be permitted under the terms of our existing or future debt agreements, including the Credit Agreement. We have limited working capital and limited access to financing. Our cash requirements, at times, may exceed the level of cash generated by operations. Accordingly, we may have limited working capital. Our ability to obtain adequate additional financing on satisfactory terms may be limited. With respect to debt financing, our Credit Agreement restricts us from incurring additional indebtedness. With respect to equity financing, our ability to sell our equity securities depends on general market conditions, including the demand for our common stock. We may be unable to raise capital through the sale of equity securities, and if we were able to sell equity, our existing stockholders could experience substantial dilution. If adequate financing is not available at all or is unavailable on acceptable terms, we may find we are unable to fund expansion, continue offering products and services, take advantage of acquisition opportunities, develop or enhance services or products, or respond to competitive pressures in the industry. Our business requires a substantial investment of capital. The production, acquisition and distribution of programming require a significant amount of capital. Capital available for these purposes will be reduced to the extent that we are required to use funds otherwise budgeted for capital investment to fund our operations. Curtailed content investment over a sustained period could have a material adverse effect on future operating results and cash flows. Further, a significant amount of time may elapse between our expenditure of funds and the receipt of revenues from our television programs or motion pictures. This time lapse requires us to fund a significant portion of our capital requirements from our operating cash flow and from other financing sources. Although we intend to continue to mitigate the risks of our production exposure through pre-sales to broadcasters and distributors, tax credit programs, government and industry programs, co-financiers and other sources, we cannot assure you that we will continue to successfully implement these arrangements or that we will not be subject to substantial financial risks relating to the production, acquisition, completion and release of new television programs and motion pictures. In addition, if we increase (through internal growth or acquisition) our production slate or our production budgets, we may be required to increase overhead and/or make larger up-front payments to talent and, consequently, bear greater financial risks. Any of the foregoing could have a material adverse effect on our business, financial condition, operating results, liquidity and prospects. Our inability to gauge and predict the commercial success of our programming could adversely affect our business, results of operations and financial condition. Operating in the entertainment industry involves a substantial degree of risk. Each video program or feature film is an individual artistic work, and its commercial success is primarily determined by unpredictable audience reactions. The commercial success of a title also depends upon the quality and acceptance of other competing programs or titles released into the marketplace, critical reviews, the availability of alternative forms of entertainment and leisure activities, general economic conditions and other tangible and intangible external factors, all of which are subject to change and cannot be predicted. Timing is also sometimes relevant to a program’s success, especially when the program concerns a recent event or historically relevant material (e.g., an anniversary of a historical event which focuses media attention on the event and accordingly spurs interest in related content). Our success depends in part on the popularity of our content and our ability to gauge and predict it. Even if a film achieves success during its initial release, the popularity of a particular program and its ratings may diminish over time. Our inability to gauge and predict the commercial success of our programming could materially adversely affect our business, results of operations and financial condition. We may be unable to recoup advances paid to secure exclusive distribution rights. Our most significant costs and cash expenditures relate to acquiring content for exclusive distribution. Most agreements to acquire content require upfront advances against royalties or net profits participations expected to be earned from future distribution. The amount we are willing to advance is derived from our estimate of net revenues that will be realized from our distribution of the title. Although these estimates are based on management’s knowledge of current events and actions management may undertake in the future, actual results will differ from those estimates. If sales do not meet our original estimates, we may (i) not recognize the expected gross margin or net profit, (ii) not recoup our advances or (iii) record accelerated amortization and/or fair value write-downs of advances paid. We recorded impairments related to our investments in content of $2.8 million during 2016 and $3.2 million during 2015. We are unable to establish new beneficial supplier relationships to ensure acquisition of exclusive or high-profile titles in a timely and efficient manner. Disputes over intellectual property rights could adversely affect our business, results of operations and financial condition. Our sales and net revenues depend heavily on the exploitation of intellectual property owned by us or third parties from whom we have licensed intellectual property. Should a dispute arise over, or a defect be found in, the chain of title in any of our key franchises, this could result in either a temporary suspension of distribution or an early termination of our distribution license. This could have a material adverse impact on our business, results of operations and financial condition. We, and third parties that manage portions of our secure data, are subject to cybersecurity risks and incidents. Our direct-to-consumer business involves the storage and transmission of customers' personal information, shopping preferences and credit card information, in addition to employee information and our financial and strategic data. The protection of our customer, employee and company data is vitally important to us. While we have implemented measures to prevent security breaches and cyber incidents, any failure of these measures and any failure of third parties that assist us in managing our secure data could materially adversely affect our business, financial condition and results of operations. A high rate of product returns may adversely affect our business, results of operations and financial condition. As with the major studios and other independent companies in this industry, we experience a relatively high level of product returns as a percentage of our revenues. Our allowances for sales returns may not be adequate to cover potential returns in the future, particularly in the case of consolidation within the home-video retail marketplace, which when it occurs tends to result in inventory consolidation and increased returns. We have experienced a high rate of product returns over the past three years. We expect a relatively high rate of product returns to continue, which may materially adversely affect our business, results of operations and financial condition. We depend on third-party shipping and fulfillment companies for the delivery of our products. If these companies experience operational difficulties or disruptions, our business could be adversely affected. We rely on SPHE, our distribution facilitation and manufacturing partner in North America, and Sony DADC UK Limited in the U.K. to determine the best delivery method for our products. These partners rely entirely on arrangements with third-party shipping companies, principally Federal Express and UPS, for small package deliveries and less-than-truckload service carriers for larger deliveries, for the delivery of our products. The termination of arrangements between our partners and one or more of these third-party shipping companies, or the failure or inability of one or more of these third-party shipping companies to deliver products on a timely or cost-efficient basis from our partners to our customers, could disrupt our business, reduce net sales and harm our reputation. Furthermore, an increase in the amount charged by these shipping companies could negatively affect our gross margins and earnings. Economic weakness may adversely affect our business, results of operations and financial condition. An economic downturn would have a significant negative effect on our revenues. As consumers reduce spending and scale back purchases of our products, we may experience higher product returns and lower sales, which would adversely affect our revenues and results of operations. Although domestic consumer spending has been strong over the last few years, weak consumer demand for our products may occur and may adversely affect our business, results of operations and financial condition. Our high concentration of sales to and receivables from relatively few customers (and use of a third-party to manage collection of substantially all packaged goods receivables) may result in significant uncollectible accounts receivable exposure, which may adversely affect our liquidity, business, results of operations and financial condition. During 2016, sales to Amazon accounted for 15.3% of our net revenues. Our top five customers accounted for approximately 47.8% of our net revenues for 2016, which includes Amazon. At December 31, 2016, Netflix, SPHE and Amazon accounted for approximately 29.3%, 25.4% and 16.7%, respectively, of our gross accounts receivable. We may be unable to maintain favorable relationships with our retailers and distribution facilitators including SPHE and Sony DADC UK Limited. Further, our retailers and distribution facilitators may be adversely affected by economic conditions. If we lose any of our top customers or distribution facilitators, or if any of these customers reduces or cancels a significant order, it could have a material adverse effect on our liquidity, business, results of operations and financial condition. We face credit exposure from our retail customers and may experience uncollectible receivables from these customers should they face financial difficulties. If these customers fail to pay their accounts receivable, file for bankruptcy or significantly reduce their purchases of our programming, it would have a material adverse effect on our business, financial condition, results of operations and liquidity. A high concentration of our gross accounts receivables is attributable to SPHE and Sony DADC UK Limited, as they are our vendor of record for shipments of physical product to North American and U.K. retailers and wholesalers. As part of our arrangement with our distribution facilitation partners, SPHE and Sony DADC UK Limited collect the receivables from our end customers, provide us with monthly advance payments on such receivables (less a reserve), and then true up the accounts receivables accounting quarterly. While we remain responsible for the credit risk from the end customer, if SPHE or Sony DADC UK Limited should fail to adequately collect and pay us the accounts receivable they collect on our behalf, whether due to inadequate processes and procedures, inability to pay, bankruptcy or otherwise, our financial condition, results of operations and liquidity would be materially adversely affected. We do not control the timing of dividends paid by ACL, which could negatively impact our cash flow. Although we hold a 64% interest in ACL, we do not control the board of directors of ACL. The members of the Agatha Christie family, who hold the remaining 36% interest in ACL, have the right to appoint the same number of directors as us and, in the event of deadlock on any decision of the board, also have a second or casting vote exercised by their appointee as chairman of ACL, which allows them to exercise control of ACL’s board of directors. Under English law, the amount, timing and form of payment of any dividends or other distributions is a matter for ACL’s board of directors to determine, and, as a result, we cannot control when these distributions are made. If ACL’s board of directors decides not to authorize distributions, our revenue and cash flow may decrease, materially adversely affecting our business, results of operations, liquidity and financial condition. Our business plan and future growth depend in part on our ability to commercialize the IP owned by ACL based on commissions for new programming from broadcasters, over whom we have no control. If we are unable to successfully implement this strategy, the results of operations and financial condition could be materially adversely affected. Our financial condition and results of operation will depend, in part, on our ability to commercialize the IP owned by ACL. Whether we are able to successfully commercialize the IP owned by ACL, including the creation of new content, will depend, in part, on ACL obtaining commissions for new programming from broadcasters (such as ITV, BBC and Sky in the U.K., and Fox, Disney and other studios in the U.S.). The ability to obtain commissions for new programming from broadcasters will depend on many factors outside of our control, including audience preferences and demand, financial condition of the broadcasters, the broadcasters’ budgets and access to financing, competitive pressures and the impact of actual and projected general economic conditions. We cannot guarantee that we will be able to obtain such commissions for new programming within our anticipated timeframe or at all. Without such commissions for new programming, we may not be able to successfully commercialize the IP of ACL in a timely or cost-effective manner, if at all. Failure to obtain commissions for new programming could adversely affect our market share, revenue, financial condition, results of operations, relationships with our distributors and retailers and our ability to expand our market, all of which would materially adversely affect our business, revenues and financial results. integration of these operations will be a complex, costly and time-consuming process. As a result, we will be required to devote significant management attention and resources to integrating these operations. We depend on key and highly skilled personnel to operate our business, and if we are unable to retain our current personnel or hire additional personnel, our ability to develop and successfully market our business could be harmed. Our success continues to depend to a significant extent on our ability to identify, attract, hire, train and retain qualified professional, creative, technical and managerial personnel. Moreover, we believe that our success greatly depends on the contributions of our Chairman, Robert L. Johnson, executive officers including Chief Executive Officer, Miguel Penella, Chief Financial Officer, Nazir Rostom, and other key executives. Although we have employment agreements with Messrs. Penella and Rostom, any of our employees may terminate their employment relationship with us at any time, and their knowledge of our business and industry would be extremely difficult to replace. The loss of any key employees or the inability to attract or retain qualified personnel could delay the acquisition of content and harm the market's perception of us. Competition for the caliber of talent required to acquire and exploit content continues to increase. If we are unable to attract and retain the qualified personnel we need to succeed, our business, results of operations and financial condition could suffer. War and acts of terrorism. Events or developments related to these and other risks associated with international trade could adversely affect our revenues from non-U.S. sources, which could have a material adverse effect on our business, financial condition, operating results, liquidity and prospects. Changes to existing accounting pronouncements or taxation rules or practices may affect how we conduct our business and affect our reported results of operations. New accounting pronouncements or tax rules and varying interpretations of accounting pronouncements or taxation practice have occurred and may occur in the future. A change in accounting pronouncements or interpretations or taxation rules or practices can have a significant effect on our reported results and may even affect our reporting of transactions completed before the change is effective. Changes to existing rules and pronouncements, future changes, if any, or the questioning of current practices or interpretations may materially adversely affect our reported financial results or the way we conduct our business. Changes in, or interpretations of, tax rules and regulations, and changes in geographic operating results, may adversely affect our effective tax rates. We are subject to income taxes in the U.S. and foreign tax jurisdictions. Our future effective tax rates could be affected by changes in tax laws or the interpretation of tax laws, by changes in the amount of revenue or earnings that we derive from international sources in countries with high or low statutory tax rates, or by changes in the valuation of our deferred tax assets and liabilities. Unanticipated changes in our tax rates could affect our future results of operations. In addition, we may be subject to examination of our income tax returns by federal, state and foreign tax jurisdictions. We regularly assess the likelihood of outcomes resulting from possible examinations to determine the adequacy of our provision for income taxes. In making such assessments, we exercise judgment in estimating our provision for income taxes. While we believe our estimates are reasonable, we cannot assure you that final determinations from any examinations will not be materially different from those reflected in our historical income tax provisions and accruals. Any adverse outcome from any examinations may have a material adverse effect on our business and operating results. Our revenues and results of operations may fluctuate significantly. Our results of operations are difficult to predict and depend on a variety of factors. Our results of operations depend significantly upon the commercial success of the television programming and feature films that we exploit, which cannot be predicted with certainty. In particular, the underperformance of the VOD or SVOD window of one or more motion pictures in any period may cause our revenue and earnings results for that period (and potentially, subsequent periods) to be less than anticipated, in some instances to a significant extent. Accordingly, our results of operations may fluctuate significantly from period to period, and the results of any one period may not be indicative of the results for any future periods. Our results of operations also fluctuate due to the timing, mix, number and availability of our broadcast, home entertainment and theatrical motion picture releases, as well as license periods for our content. Our operating results may increase or decrease during a particular period or year due to differences in the number and/or mix of films released compared to the corresponding period in the prior year. Revenues from the sale of DVDs are declining. During calendar 2016, the standard DVD marketplace experienced the tenth straight year-over-year decline for the category since the format debuted in 1997. We estimate that approximately 51% of our current net revenue base is generated from the sale of physical goods, which include the revenues from the sale of DVDs. The continued maturation of the standard DVD format may continue to adversely affect our business, results of operations and financial condition. Decreasing retail prices for DVDs may negatively affect our revenues and gross profit margins. The home entertainment programming market in which we compete is rapidly evolving and intensely competitive. Many of our competitors, including major studios, are increasingly offering programming, particularly DVD programming, at lower prices. They may be able to produce or secure content on more favorable terms and may be able to adopt more aggressive pricing policies than we can. While we strive to improve our operating efficiencies and leverage our fixed costs so that we can afford to pass along these savings to our customers in the form of lower prices, the industry trend of lowering prices may, over time, lead to lower sales, decreased profit margins or decreased overall revenues. Decreasing retail shelf space for our industry may limit sales of our programming, which may adversely affect our business, results of operations and financial condition. We face increasing competition from major motion picture studios and other independent content suppliers for limited retail shelf space, which space has been shrinking in absolute terms as brick and mortar retailers have fewer stores and lower budgets for the home-video space within their stores. Our exclusive content competes for a finite amount of shelf space against a large and diverse supply of entertainment content from other suppliers. New releases generally exceed several hundred titles a week. We believe this competition can be especially challenging for independent labels like us, because the new releases of major studios often have extremely high visibility, greater marketing support and sales projections in the millions of units, which typically require much more shelf space to support. Shelf space limitations at our brick and mortar retail customers are exacerbated by the increasing popularity of the high-definition format, Blu-ray. The combination of standard discs, premium discs and special-edition boxed sets across two formats means that a release can come in as many six different configurations. With the possible exception of our most popular new release titles and top-selling catalog titles, it can be a challenge to obtain the product placement necessary to maximize sales, particularly among the limited number of major retailers who comprise our core brick and mortar customers. The continued retailer trend toward greater visibility for titles at the expense of quantity (i.e., “face out” rather than “spine out” placement) has the effect of reducing the total number of titles actually carried by a retailer. We cannot accurately predict the overall effect shifting audience tastes, technological change or the availability of alternative forms of entertainment may have on distributors. In addition to uncertainty regarding the DVD market, there is uncertainty as to whether other developing distribution channels and formats, such as VOD and internet distribution of television and films, will attain expected levels of public acceptance, or if such channels or formats are accepted by the public, whether we will be successful in exploiting the business opportunities they provide. Moreover, to the extent that these emerging distribution channels and formats gain popular acceptance, the demand for delivery through DVDs may decrease. quarterly variations in our operating results, actual or anticipated announcements of new releases by us or competitors, the gain or loss of significant customers, changes in the estimates of our operating performance, fluctuations in the fair value of our common stock warrant liability and market conditions in our industry and the economy as a whole. If we fail to meet all applicable continued listing requirements of the Nasdaq Capital Market and Nasdaq determines to delist our common stock, the delisting could adversely affect the market liquidity of our common stock and subject us to additional trading restrictions and regulations. Companies listed on The NASDAQ Stock Market, or NASDAQ, are subject to delisting for, among other things, failure to maintain a minimum closing bid price per share of $1.00 for 30 consecutive business days or failure to maintain a minimum stockholders’ equity of $2.5 million. We cannot assure you that we will be able to meet these or other continued listing requirements of NASDAQ. If our common stock loses its status on The NASDAQ Capital Market, our common stock would likely trade in the over-the-counter market. In addition, in the event our common stock is delisted, broker-dealers have certain regulatory burdens imposed upon them, which may discourage broker-dealers from effecting transactions in our common stock, further limiting the liquidity of our common stock. These factors could result in lower prices and larger spreads in the bid and ask prices for our common stock. Such delisting from The NASDAQ Capital Market and declines in our share price could also greatly impair our ability to raise additional necessary capital through equity or debt financing and could significantly increase the ownership dilution to shareholders caused by our issuing equity in financing or other transactions. Any future issuances of equity may significantly affect the market price of our common stock. Future issuances of substantial amounts of our common stock, including shares that we may issue upon conversion or redemption of outstanding preferred stock, exercise of outstanding warrants, or conversion of other convertible securities, if any, could adversely affect the market price of our common stock. The amount of common stock issuable upon redemption of our preferred stock, although subject to a floor price, is not fixed in all circumstances, and therefore the actual amount of common stock issuable upon redemption cannot currently be determined. Similarly, the amount of common stock issuable upon exercise of one of the three warrants issued to AMC is not fixed in all circumstances, and therefore the actual amount of common stock issuable upon exercise cannot currently be determined. Further, if we raise additional funds through the issuance of common stock or securities convertible into or exercisable for common stock, our stockholders may experience substantial dilution and the price of our common stock may fall. New equity securities issued may also have greater rights, preferences or privileges than our existing common stock. Additional authorized shares of common stock available for issuance may adversely affect the market. We are authorized to issue 250,000,000 shares of our common stock. As of March 1, 2017, we had 5,342,586 shares of our common stock outstanding, excluding shares issuable upon conversion of our outstanding preferred stock and exercise of our outstanding warrants. As of March 1, 2017, we had outstanding preferred stock convertible into approximately 11,604,000 shares of our common stock, including dividends, at a conversion price of $3.00 per share and warrants to purchase 1,454,628 shares of common stock at $1.50 per share, warrants to purchase 150,000 shares of common stock at $2.37 per share, warrants to purchase 21,500,000 shares of common stock at $3.00 and warrants to purchase 7,013,897 shares of our common stock at a price of $36.00 per share, respectively. To the extent the shares of common stock are issued, preferred stock is converted or warrants are exercised, holders of our common stock will experience dilution. Provisions in our amended and restated articles of incorporation and Nevada law may inhibit a takeover of us, which could limit the price investors might be willing to pay in the future for our common stock and could entrench management. Our amended and restated articles of incorporation contain provisions that may discourage unsolicited takeover proposals that stockholders may consider to be in their best interests. These provisions include the ability of the board of directors to designate the terms of and issue new series of preferred shares, which may make more difficult the removal of management and may discourage transactions that otherwise could involve payment of a premium over prevailing market prices for our securities. We are also subject to anti-takeover provisions under Nevada law, which could delay or prevent a change of control. Together these provisions may make more difficult the removal of management and may discourage transactions that otherwise could involve payment of a premium over prevailing market prices for our securities. The segment descriptions above reflect the location’s primary activity. We believe that our current offices are adequate to meet our business needs, and our properties and equipment have been well maintained. In the normal course of business, we are subject to proceedings, lawsuits and other claims, including proceedings under government laws and regulations relating to content ownership and copyright matters. While it is not possible to predict the outcome of these matters, it is the opinion of management, based on consultations with legal counsel, that the ultimate disposition of known proceedings will not have a material adverse effect on our financial condition, results of operations or liquidity. Our common stock is traded on The NASDAQ Capital Market® under the symbol “RLJE” and our warrants are quoted on the Over-The-Counter Bulletin Board (or OTCBB) under the symbol “RLJEW.” The table below presents the quarterly high and low closing sales prices of our common stock and warrants as reported by NASDAQ and the OTCBB, respectively. warrants to acquire 1,454,628 shares of common stock at a price of $1.50 per share; 150,000 shares of common stock at a price of $2.37 per share, and 1,500,000 shares of our common stock at a price of $3.00 per share held by approximately 14 holders of record. The number of holders of record does not include the number of persons whose securities are in nominee or “street name” accounts through brokers. We have not paid any cash dividends on our common stock to date. The payment of cash dividends in the future will be dependent upon our revenues and earnings, if any, capital requirements and general financial condition. The payment of any dividends will be within the discretion of our board of directors at such time. It is the present intention of our board of directors to retain all earnings, if any, for use in our business operations and, accordingly, our board of directors does not anticipate declaring any dividends in the foreseeable future. In addition, our AMC Credit Agreement restricts our ability to pay dividends on our common stock. For more information on these restrictions, please refer to Note 10, Debt of our consolidated financial statements and in the Liquidity and Capital Resources sections of Management’s Discussion and Analysis of Financial Condition and Results of Operations (or MD&A). See table under Part III, Item 12, Security Ownership of Certain Beneficial Owners and Management and Related Stockholder Matters in the Equity Compensation Plan Information section. Additional information with respect to the shares of our common stock that may be issued under our existing stock-based compensation plans is disclosed in our consolidated financial statements in Note 14, Stock-Based Compensation. Item 6. Selected Financial Data is not required for smaller reporting companies. The following discussion and analysis of our financial condition and results of operations contains forward-looking statements that involve risks and uncertainties, such as statements of our plans, objectives, expectations and intentions. As described under the heading "Forward-Looking Statements" of this Annual Report, our actual results could differ materially from those anticipated in our forward-looking statements. Factors that could contribute to such differences include those discussed elsewhere in this Annual Report, including in Item 1A of this Annual Report under the heading “Risk Factors.” You should not place undue reliance on our forward-looking statements, which apply only as of the date of this Annual Report. Except as may be required under federal law, we undertake no obligation to update publicly any forward-looking statements for any reason, even if new information becomes available or other events occur. You should read the following discussion and analysis in conjunction with our consolidated financial statements and related footnotes included in Item 8 of this Annual Report. RLJ Entertainment, Inc. (RLJE or the Company) is a premium digital channel company serving distinct audiences through its proprietary subscription-based digital channels (or Digital Channels), Acorn TV and UMC or Urban Movie Channel, and a direct presence in North America, the United Kingdom (or U.K.) and Australia with strategic sublicense and distribution relationships covering Europe, Asia and Latin America. RLJE was incorporated in Nevada in April 2012. On October 3, 2012, we completed the business combination of RLJE, Image Entertainment, Inc. (or Image) and Acorn Media Group, Inc. (or Acorn Media), which is referred to herein as the “Business Combination.” Acorn Media includes its U.K. subsidiaries RLJ Entertainment Ltd, Acorn Media Enterprises Limited (or AME), and RLJE International Ltd (collectively, RLJE UK), as well as RLJ Entertainment Australia Pty Ltd (or RLJE Australia). In February 2012, Acorn Media acquired a 64% ownership of Agatha Christie Limited (or ACL). References to Image include its wholly-owned subsidiary Image/Madacy Home Entertainment, LLC. “We,” “our” or “us” refers to RLJE and its subsidiaries unless otherwise noted. Our principal executive offices are located in Silver Spring, Maryland, with an additional location in Woodland Hills, California. We also have international offices in London, England and Sydney, Australia. We strive to be a preferred source and destination for entertainment for a variety of distinct audiences with particular and special programming interests. We acquire, develop and exploit television, film and other media content across all platforms of distribution. We actively manage all windows of exploitation to optimize the reach of our promotional efforts and maximize the value of our releases. We acquire content rights in various categories, with particular focus on British mysteries and dramas, urban programming and full-length independent motion pictures. We also develop, produce and own original programming through our wholly-owned subsidiary, AME, and our 64%-owned subsidiary, ACL. We control an extensive program library in genres such as British mysteries and dramas, urban/African-American, action/thriller and horror, fitness/lifestyle and long-form documentaries. We market our products through a multi-channel strategy encompassing (1) direct relations with consumers via proprietary subscription-based Digital Channels (Digital Channels segment); (2) the licensing of original drama and mystery content managed and developed through our wholly-owned subsidiary, AME, and our 64%-owned subsidiary, ACL, (IP Licensing segment); and (3) wholesale exploitation through partners covering broadcast and cable, digital, online and retail outlets (Wholesale Distribution segment). As a result, we view our operations based on these three distinctive reporting segments. Operations and net assets that are not associated with any of these stated segments are reported as “Corporate” when disclosing and discussing segment information. Our Digital Channels segment consists of our subscription-based digital streaming channels. The IP Licensing segment includes intellectual property rights that we own or create and then sublicense for exploitation worldwide. Our Wholesale Distribution segment consist of the acquisition, content enhancement and worldwide exploitation of exclusive content in various formats, including broadcast, DVD and Blu-ray and digital (which include VOD, SVOD, streaming and downloading). We also sublicense certain distribution rights to others to cover territories outside the U.S., the U.K. and Australia. Our Wholesale Distribution segment also includes our U.K. mail-order catalog and ecommerce businesses. majority of the Agatha Christie library. ACL is home to some of the world’s greatest works of mystery fiction, including Murder on the Orient Express and Death on the Nile and includes all development rights to iconic sleuths such as Hercule Poirot and Miss Marple. The Agatha Christie library includes a variety of short story collections, more than 80 novels, 19 plays and a film library of over 100 made-for-television films. In 2014, ACL published its first book since the death of Agatha Christie, The Monogram Murders. In September 2016, ACL released another new book, Closed Casket. The IP Licensing and Wholesale Distribution segments exploit content primarily through third-party vendors. Our wholesale partners are broadcasters, digital outlets and major retailers in the U.S., Canada, United Kingdom and Australia, including, among others: Amazon, Barnes & Noble, Comcast, Costco, DirecTV, Hulu, iTunes, Netflix, PBS, Showtime, Starz, Target and Walmart. We work closely with our wholesale partners to outline and implement release and promotional campaigns customized to the different audiences we serve and the program genres we exploit. We have a catalog of owned and long-term licensed content that is segmented into brands such as Acorn (British drama/mystery, including content produced by ACL), RLJE Films (independent feature films, action/thriller horror), Urban Movie Channel (or UMC) (urban), Acacia (fitness), and Athena (documentaries). On June 24, 2016, we entered into a licensing agreement with Universal Screen Arts (or USA) whereby USA took over our Acorn U.S. catalog/ecommerce business becoming the official, exclusive, direct-to-consumer seller of Acorn product in the U.S. During the quarter ended June 30, 2016, we also electronically distributed our last Acacia catalogs. As a result of these actions, we have classified the U.S. catalog/ecommerce business as discontinued operations. During 2015 and the first quarter of 2016, these businesses were included in our Direct Channels segment. In the fourth quarter of 2016, we reclassified our remaining U.K. catalog/ecommerce business from Digital Channels to our Wholesale Distribution segment to reflect adjustments we made internally in terms of how we are viewing and managing our operations after the disposal of our U.S. ecommerce/catalog business. The reclassification for both our U.S. and U.K. catalog and ecommerce businesses were made retroactively for all periods presented. Reported net revenues exclude revenues generated by our 64% owned subsidiary, ACL, which is accounted for under the equity method of accounting. Our Digital Channels segment currently operates in the U.S. and comprises approximately one-fifth of our overall revenue base. The Digital Channels segment revenues are derived from our online, proprietary, subscriber-based SVOD channels, Acorn TV and UMC. During 2016, revenues from our Digital Channels totaled $16.3 million, which represents an increase of $8.7 million when compared to 2015. Our television drama productions are generally financed by the pre-sale of the initial broadcast license rights. Revenues reported in this segment include the initial broadcast license revenue, generally from the U.K. territory, and sublicense revenue for other territories outside the U.S., U.K. and Australia. Our primary source of revenues within the Wholesale Distribution segment continues to be from the exploitation of exclusive content on DVD and Blu-ray through third-party vendors such as Amazon, Best Buy, Costco, Target and Walmart. Revenues derived from digital and broadcast exploitation of our content continue to grow as a percentage of revenues. Net revenues derived from digital, VOD, third-party SVOD and broadcast exploitation account for approximately 34.9% of the segment’s revenues in 2016 versus 32.6% in 2015. This is consistent with consumer adoption trends. As retailers continue to offer consumer-friendly devices that make access to these on-demand services easier, including allowing consumption on portable devices such as smartphones and tablets, we believe we are well-positioned to capture business in this growing distribution channel. Some of our digital retailers include Amazon, Google Play, Hulu, iTunes, Microsoft Xbox, Netflix, Overdrive, Shudder (AMC) Sony PlayStation, Vimeo, Vudu and YouTube. Our partners in the VOD space include AT&T, Cablevision, Comcast, DirecTV, Dish, iNDemand, Verizon and Vubiquity. We continue our efforts to acquire more programming with international rights. Our key sublicensing partners, that cover territories outside the U.S., the U.K. and Australia, are with Universal Music Group International, Universal Pictures Australia and Warner Music Australia. 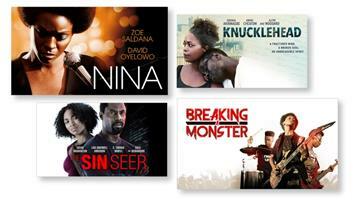 To date, most of the feature films we have acquired do not include rights outside of North America. However, given our presence in the United Kingdom and Australia, we are focusing our efforts to acquire more programming in all English-language markets. When appropriate, we now seek the greatest variety of distribution rights regarding acquired content in the greatest variety of formats. We believe that this will allow us to further diversify revenue streams. Our most significant costs and cash expenditures relate to acquiring or producing content for exclusive exploitation. We generally acquire programming through exclusive license or distribution agreements, under which we either (1) pay royalties or (2) receive distribution fees and pay net profits after recoupment of our upfront costs. Upon entering into a typical license (royalty) agreement, we pay an advance based on the estimated expected future net profits. Once the advance payment has been recouped, we pay royalties to the content suppliers quarterly based on the net revenues collected from the previous quarter. Under a typical exclusive distribution agreement, we may pay upfront fees, which are expressed as advances against future net profits. Once the advance and any other costs incurred are recouped, we pay the content supplier their share of net cash-profits, which is after our distribution fee, from the prior quarter’s exploitation. We strive to achieve long-term, sustainable growth and profitability with a target return on investment (ROI) of 20% or more on new content acquisitions. This financial target is based on all up-front expenses associated with the acquisition and release of a title, including advances and development costs, and is calculated after allocating overhead costs. We also seek to maximize our operational cash flow and profitability by closely managing our marketing and discretionary expenses, and by actively negotiating and managing collection and payment terms. Our Digital Channels paying subscribers increased by 125.1% from 203,000 to 457,000 in 2016. Revenues from our Digital Channels segment increased 115.6% to $16.3 million. After costs of sales and operating expenses, our Digital Channels segment contributed $6.3 million of income from continuing operations for the current period compared to a loss from continuing operations of $1.5 million for the same period last year. Gross profit increased by 18.4% to $26.4 million and gross margin increased to 32.9% for the year ended December 31, 2016 compared to 22.5% for the year ended December 31, 2015. The improvements in gross profit and gross margin are primarily attributable to the growth of our proprietary Digital Channels, which deliver a higher profit margin. Net loss was $21.9 million for the year compared to a net loss last year of $55.0 million. The improvement is primarily driven by a goodwill impairment charge recognized last year with no similar impairments this year. Adjusted EBITDA improved $5.1 million to $13.1 million for 2016. This primarily reflects improved operating results due to increased gross margins attributable to our Digital Channels segment, increased equity earnings from affiliate (Agatha Christie Ltd.) and reduced selling expenses. In October 2016 and January 2017, we refinanced our senior debt and repaid our subordinated notes, respectively. After repayment of our prior loans and expenses, we received net proceeds of $7.4 million. Our new senior loan facility improves our debt servicing payment by lowering our cash interest rate by 800 basis points and requiring no principal payments until June 2019. The highlights above and the discussion below are intended to identify some of our more significant results and transactions during 2016 and should be read in conjunction with our consolidated financial statements and related discussions within this Annual Report. A summary of our results of operations is presented below for the years ended December 31, 2016 and 2015, as disclosed in our consolidated financial statements in Item 8, Financial Statements and Supplementary Data, herein referred to as our “consolidated financial statements.” Our consolidated financial statements have been prepared in accordance with accounting principles generally accepted in the United States of America (or U.S. GAAP). Revenues for the year ended December 31, 2016 decreased $18.7 million when compared to the year ended December 31, 2015. The decrease in revenues is primarily driven by our Wholesale Distribution and IP Licensing segments, which declined by $24.5 million $2.9 million, respectively. These decreases were partially offset by a $8.7 million increase in revenues from our Digital Channels segment. The increase in revenues in our Digital Channels segment primarily results from the 120.5% growth in subscribers to our Acorn TV channel. During 2016, we launched our Digital Channels on Amazon Channels, an add-on streaming video service available to Amazon Prime customers. This strategic expansion into third-party distribution of our digital streaming services resulted in significant subscriber growth. In addition, we are continually featuring new content on our Digital Channels, which we believe is a key factor in attracting new subscribers for all of our channels. The decline in our IP Licensing revenues was due to our release of a new ACL title last year, Partners in Crime, with no similar release this year. Our Wholesale Distribution segment’s revenue decline is attributable to decreases in U.S. revenues of $21.0 million and decreases in international revenues of $3.5 million. Wholesale Distribution segment’s revenues decreased because of less content being released during the current period compared to the same period last year and increased returns. We had fewer large releases this year compared to several large releases last year. Our Wholesale Distribution segment’s revenues were also down due to a decline in demand for DVDs as more digital programming becomes available on demand. COS decreased by $22.8 million to $53.8 million for 2016 compared to the same period in 2015. The decrease in COS is attributed to lower revenues in our Wholesale Distribution and IP Licensing segments and lower step-up amortization resulting from the Business Combination. Our step-up amortization was $3.6 million and $5.0 million for the years ended December 31, 2016 and 2015, respectively. The decrease in step-up amortization is attributable to lower revenues from titles that were acquired prior to our Business Combination. As time passes, step-up amortization decreases. Impairment charges recorded for content investments and inventories total $4.6 million and $4.7 million for the years ended December 31, 2016 and 2015, respectively. Impairment charges and step-up amortization are recorded in our Wholesale Distribution segment. during 2016 as compared to 7.6% of total revenues during 2015. The margin in our Wholesale Distribution segment improved partially due to better performing titles this year compared to last year. SG&A decreased by $33.0 million for the year ended December 31, 2016, compared to the same period in 2015. The decrease is primarily due to a $30.3 million goodwill impairment charge recorded in with no similar charge in 2016. The 2015 goodwill impairment charge is attributable to our Wholesale Distribution segment. Selling expenses decreased $1.6 million due to a reduction in our sales force and lower theatrical expenses during 2016 compared to 2015 as we had more theatrical releases last year. Equity earnings of affiliate (which is ACL) increased $0.9 million for the year ended December 31, 2016 to $3.1 million when compared to 2015. During 2016, ACL’s gross profit (revenues less film cost amortization) was higher in 2016 when compared to 2015. The increases are a result of higher publishing revenues due to new publishing contracts entered into and generally improved publishing royalty rates on existing contracts. Improved margins were partially offset by increased general, administrative and other expenses, as well as increased income taxes. Interest expense decreased $1.6 million for the year ended December 31, 2016, as compared to 2015. The decrease is a result of reduced interest rates on our senior debt combined with lower average outstanding debt balances during the years. During April 2015, we made an accelerated principal payment of $10.0 million on our senior secured debt and reduced the interest rate on our subordinated debt. The change in the fair value of our warrant and other derivative liabilities impacts the statement of operations. A decrease in the fair value of the liabilities results in the recognition of income, while an increase in the fair value of the liabilities results in the recognition of expense. Changes in fair value are primarily driven by changes in our common stock price and its volatility. During 2016, we recognized expense of $4.6 million due to changes in the fair value of our stock warrants and other derivative liabilities. During 2015, we recognized income of $1.4 million due to changes in the fair value of our stock warrants and other derivative liabilities. Upon repaying our previous credit facility and entering into the AMC Credit Agreement, on October 14, 2016, we recognized a $3.6 million loss from the early extinguishment of debt, which is reported separately within our statement of operations. This loss primarily represents the unamortized debt discount and deferred financing costs at the time of repayment and a prepayment penalty of $0.8 million. Other expense mostly consists of foreign currency gains and losses resulting primarily from advances and loans by our U.S. subsidiaries to our foreign subsidiaries that have not yet been repaid. Our foreign currency gains and losses are primarily impacted by changes in the exchange rate of the British Pound Sterling (or the Pound) relative to the U.S. dollar (or the Dollar). As the Pound strengthens relative to the Dollar, we recognized other income; and as the Pound weakens relative to the Dollar, we recognize other expense. During 2016 and 2015, the Pound weakened relative to the dollar and we recognized foreign currency losses of $1.5 million $1.1 million, respectively. We have fully reserved our net U.S. deferred tax assets, and such tax assets may be available to reduce future income taxes payable should we have U.S. taxable income in the future. To the extent such deferred tax assets relate to net operating losses (or NOL) carryforwards, the ability to use our NOL carryforwards against future earnings will be subject to applicable carryforward periods and limitations subsequent to a change in ownership. As of December 31, 2016, we had NOL carryforwards for federal and state income tax purposes of approximately $111.6 million and $69.5 million, respectively. We recorded income tax expense of $0.2 million for each of the years ended December 31, 2016 and 2015. Our tax provision consists primarily of a deferred tax provision for certain deferred tax liabilities and a current tax provision for our U.K. operations. We are recording a deferred tax provision and liability for our equity earnings of affiliate (ACL). These earnings will be taxable in the U.K., when and if we dispose of our investment. In 2015, we also reversed a previously recognized deferred liability related to goodwill amortization that was being provided for tax purposes. Because of the goodwill impairment recognized, the deferred liability was reversed and is no longer being recognized for financial statement purposes. This reversal resulted in a reduction to our tax expense in 2015 of $0.4 million. We are providing current income tax expense on pre-tax income from our consolidated U.K. subsidiaries at an effective tax rate of approximately 20%. We are not providing a current tax provision (benefit) on our U.S. operations, other than for certain state minimum taxes, which are not material. Our loss from discontinued operations decreased as our U.S. catalog/ecommerce business was winding down during 2016. For the years ended December 31, 2016 and 2015, our losses were $3.2 million and $6.3 million, respectively. Discontinued operations revenues were $7.8 million and $25.9 million for the years ended December 31, 2016 and 2015, respectively. The transition of our U.S. catalog/ecommerce business to USA completed during 2016. Management believes Adjusted EBITDA to be a meaningful indicator of our performance that provides useful information to investors regarding our financial condition and results of operations because it removes material non-cash items that allows investors to analyze the operating performance of the business using the same metric management uses. The exclusion of non-cash items better reflects our ability to make investments in the business and meet obligations. Presentation of Adjusted EBITDA is a non-GAAP financial measure commonly used in the entertainment industry and by financial analysts and others who follow the industry to measure operating performance. Management uses this measure to assess operating results and performance of our business, perform analytical comparisons, identify strategies to improve performance and allocate resources to our business segments. While management considers Adjusted EBITDA to be an important measure of comparative operating performance, it should be considered in addition to, but not as a substitute for, net income and other measures of financial performance reported in accordance with U.S. GAAP. Not all companies calculate Adjusted EBITDA in the same manner and the measure, as presented, may not be comparable to similarly-titled measures presented by other companies. During 2016, we changed how we are computing our Adjusted EBITDA. Previously, we were adding back content amortization and royalty expense and deducting cash invested in content to arrive at an Adjusted EBITDA. We have now aligned our adjusted EBITDA definition to our peers in our industry and to the definition in our credit agreement. The revised Adjusted EBITDA adds back our non-cash royalty expense, which consists of step-up amortization and impairments on content that was acquired as of the Business Combination. For comparative purposes, we provided revised 2015 Adjusted EBITDA calculation. Adjusted EBITDA increased by $5.1 million for the year ended December 31, 2016 compared to the same period last year. The increase reflects our improved operating results from continuing operations after adjusting for the above non-cash expenses. The improvement is also a result of an increased restructuring adjustment in 2016 when compared to 2015. The 2016 restructuring adjustment includes our loss on extinguishment of debt and related transaction costs. The adjustment also includes severance payments and related expenses totaling $2.1 million, which consist entirely of personnel costs that have been eliminated as a result of our restructuring activities. Total assets at December 31, 2016 and 2015, were $136.0 million and $150.6 million, respectively. The decline of $14.6 million in assets is mostly attributed to (i) a $6.9 million decrease in assets from discontinued operations, (ii) a $4.3 million decrease in accounts receivable due to collection efforts and declining wholesale revenue, (iii) a $2.1 million decrease inventories primarily due fewer title release in 2016, and (iv) a $3.6 million decline in our investment in ACL, which was primarily due to a weakening Pound relative to the U.S. dollar. Offsetting these declines is an increase in cash resulting from our October 2016 debt refinancing. The decline of liabilities and equity of $14.6 million is mostly attributed to the net loss of $21.9 million for the year ended December 31, 2016, that is included in accumulated deficit; partially offset an increase in senior debt of $8.1 million. Before adjusting for debt discounts and offering costs, our senior debt increased from $56.9 million as of December 31, 2015 to $65.0 million as of December 31, 2016. We incurred a net use of cash of $1.5 million resulting from our operating activities. Last year, our net cash used in operating activities was $9.2 million. The improvement in operating cash flows was primarily attributable to less cash spent on content. During 2016, we spent $33.9 million on content compared to $38.9 million for the prior year. We continue to have significant short-term vendor debts, which are past due and which we are in the process of paying off by making increased cash payments or modifying payment terms in the short term. Bringing our vendor trade payables current continues to constrain our liquidity. During 2016, our accounts payable and accrued liabilities decreased by $11.1 million. In 2015, we were able to reduce accounts payable and accrued liabilities by $0.9 million. Our quarterly results are typically affected by: (a) the timing and release dates of key productions, (b) the seasonality of our Wholesale Distribution business which is 32% to 35% weighted to the fourth quarter and (c) the increased investment in content during the first half of the year, yet investments are impacted by liquidity. We received net cash proceeds from the AMC Credit Agreement of $64.2 million when refinancing our senior debt. The proceeds received were used to repay our prior senior secured term notes of $56.9 million, including accrued interest, and transaction expenses of approximately $1.7 million, which includes a prepayment penalty of $0.8 million. We made capital expenditures of $1.4 million. We continue to experience liquidity constraints as we have several competing demands on our available cash and cash that may be generated from operations, including past-due vendor payables, which are currently about $12.1 million. These past-due payables are largely a result of significant past-due vendor payables acquired in 2012 when purchasing Image. As we work to catch up on the acquired past-due payables, we have fallen behind on other payables. We continue to work with our vendors to make payment arrangements that are agreeable with them and that give us flexibility in terms of when payments will be made. Additionally, we must maintain a certain level of expenditures to acquire new content that allows us to generate revenues and margins sufficient to meet our obligations. During 2016, we realized significant growth in our Digital Channels segment. Our Digital Channels segment revenues increased 116% to $16.3 million during 2016. By way of comparison, our channel revenues increased 83% during 2015. After cost of sales and operating expenses, our Digital Channels segment contributed $6.3 million of income from continuing operations for 2016 compared to a loss of $1.5 million last year. Our expectation is that our Digital Channels will continue to grow, however there is no assurance that this will occur. 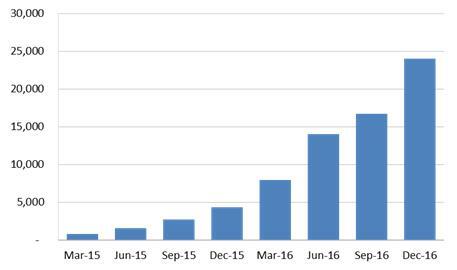 If the channels grow at a rate that is similar to 2016, then 2017 should be a transformational year in terms of liquidity, cash flow and operating results. On October 14, 2016, we refinanced our senior debt. In January 2017, we amended our senior debt and borrowed an additional $8.0 million. We received net proceeds of $7.4 million, which we used to repay our subordinated notes payable. In addition to providing us liquidity, the new senior loan facility helps us address our liquidity constraints going forward in three ways: (1) it bears a substantially lower cash-interest rate that is approximately 800 basis points lower than before, (2) there are no required principal payments until 2019, and (3) the financial covenants have been reset to less restrictive levels that provide us the necessary flexibility to invest in our operations. In 2016, we also took actions to improve our operating results and Adjusted EBITDA by exiting certain non-core operations that have been generating losses. During December 2015, we approved and started implementing a plan to close our Acacia catalog operations. The last Acacia print catalogs were circulated in January 2016 and electronic email distribution continued through May 2016. Further, on June 24, 2016, we entered into a licensing agreement to outsource the U.S. Acorn catalog/ecommerce business to USA (see our Discontinued Operations disclosure above). During 2016, our U.S. catalog/ecommerce business was fully transitioned to USA and we do not anticipate future losses from this line of business. We believe that our current cash at December 31, 2016, combined with our additional borrowing in January 2017 will be sufficient to meet our operating liquidity, capital expenditure and debt repayment requirements for at least the next one year from the date of issuance of these financial statements. However, there can be no assurances that we will be successful in realizing improved results from operations including improved Adjusted EBITDA, generating sufficient cash flows from operations or agreeing with vendors on revised payment terms. As of December 31, 2016, we had cash of $7.8 million, as compared to $4.5 million as of December 31, 2015. On October 14, 2016, we entered into a $65.0 million Credit and Guaranty Agreement (the AMC Credit Agreement) with Digital Entertainment Holdings LLC, a wholly owned subsidiary of AMC Networks Inc. (or AMC). The proceeds received were used to repay our prior senior secured term notes of $55.1 million, including accrued interest, and transaction expenses of approximately $1.7 million, which includes a prepayment penalty of $0.8 million. The AMC Credit Agreement consists of (i) a term loan tranche in the principal amount of $5.0 million (or Tranche A Loan), which was due October 14, 2017, but was recently amended to June 30, 2019, and (ii) a term loan tranche in the principal amount of $60.0 million (or Tranche B Loan) of which 25% is due after five years, 50% is due after six years and the remaining 25% is due after seven years. The Tranche A Loan bears interest at a rate of 7.0% per annum and the Tranche B Loan bears interest at a rate of 6.0% per annum. Interest is payable quarterly whereby 4.0% is payable in cash and the balance is payable in shares of common stock determined using a per-share value of $3.00 per share. The loan is secured by a lien on substantially all of our consolidated assets. Subject to certain customary exceptions, the AMC Credit Agreement requires mandatory prepayments if we were to receive proceeds from asset sales, insurance, debt issuance or the exercise of the AMC Warrants. We may also make voluntary prepayments. Prepayments of the Tranche B Loan (either voluntary or mandatory) are subject to a prepayment premium of 3.0% if principal is repaid on or before October 14, 2018, and 1.5% if principal is repaid after October 14, 2018 but on or before October 14, 2019. No prepayment premium is due for amounts prepaid after October 14, 2019. The AMC Credit Agreement contains certain financial and non-financial covenants. Financial covenants are assessed annually and are based on Consolidated Adjusted EBITDA, as defined in the AMC Credit Agreement. Financial covenants vary by fiscal year and generally become more restrictive over time. The AMC Credit Agreement contains events of default that include, among others, non-payment of principal, interest or fees, violation of covenants, inaccuracy of representations and warranties, bankruptcy and insolvency events, material judgments, cross defaults to certain other contracts (including, for example, business arrangements with our U.S. distribution facilitation partner and other material contracts) and indebtedness and events constituting a change of control or a material adverse effect in any of our results of operations or conditions (financial or otherwise). The occurrence of an event of default would increase the applicable rate of interest and could result in the acceleration of our obligations under the AMC Credit Agreement. The AMC Credit Agreement imposes restrictions on such items as encumbrances and liens, payments of dividends, other indebtedness, stock repurchases, capital expenditures and entering into new lease obligations. Additional covenants restrict our ability to make certain investments, such as loans and equity investments, or investments in content that are not in the ordinary course of business. Pursuant to the AMC Credit Agreement, we must maintain at all times a cash balance of $1.0 million for 2016, $2.0 million in cash for 2017 and $3.5 million in cash for all years thereafter. As of December 31, 2016, we were in compliance with all covenants as stipulated in the AMC Credit Agreement. When repaying the previous credit facility on October 14, 2016, we recognized a $3.6 million loss from the early extinguishment of debt, which is reported separately within our statement of operations. This loss primarily represents the unamortized debt discount and deferred financing costs at the time of repayment of our prior credit facility and prepayment penalty of $0.8 million. On January 30, 2017, we amended the AMC Credit Agreement and borrowed an additional $8.0 million, thereby increasing our Tranche A loan from $5.0 million to $13.0 million. We also changed the maturity date for our Tranche A loan from October 14, 2017 to June 30, 2019. The additional $8.0 million borrowed was used to repay our obligations under the subordinated notes payable. When doing so, we did not incur a prepayment penalty. This amendment also changed certain debt covenant ratios to reflect the extended maturity date and the increase of the Tranche A loan balance. These amended terms are reflected in the above tables and disclosures. In October 2012, we issued unsecured subordinated promissory notes in the aggregate principal amount of $14.8 million to the selling preferred stockholders of Image (or Subordinated Note Holders). On May 20, 2015, and in connection with the sale of preferred stock and warrants, the Subordinated Note Holders exchanged approximately $8.5 million of subordinated notes for 8,546 shares of preferred stock and warrants to acquire approximately 855,000 shares of common stock. The notes bore interest at 12.0% per annum, except for a two-year period ending December 31, 2016, whereby the interest rate was adjusted to 1.5% per annum. Each year, we paid 45% of the interest due in cash and added the remaining of 55% to the subordinated note balance. On January 31, 2017, we repaid these subordinated notes and accrued interest in full. On May 20, 2015, we closed a transaction in which we sold 31,046 shares of preferred stock and warrants to acquire 3.1 million shares of common stock for $22.5 million in cash and the exchange of $8.5 million in subordinated notes. Of the preferred shares and warrants sold, 16,500 shares of preferred stock and warrants to acquire 1.7 million shares of common stock were sold to certain board members or their affiliated companies. We used $10.0 million of the cash proceeds from this sale to make partial payment on our senior notes payable and approximately $1.9 million for prepayment penalties, legal and accounting fees, which include fees associated with our registration statement filed in July 2015 and other expenses associated with the transaction. The balance of the net cash proceeds was used for content investment and working capital purposes. Of the fees incurred, $0.9 million was recorded against the proceeds received, $0.5 million was recorded as additional debt discounts, $0.2 million was included as interest expense and the balance was included in other expense. In connection with the sale of our preferred stock on May 20, 2015, the holders of the preferred stock appointed two board members temporarily increasing the board to 11 members. On June 4, 2015, four board members resigned thus reducing the board size to seven members, which we committed to when issuing the preferred stock. On October 14, 2016 and concurrent with the close of the AMC Credit Agreement, we amended our preferred stock such that we were able to classify our preferred stock and its embedded conversion feature within our shareholders’ equity (deficit). Prior to the amendment, our preferred stock and its embedded conversion feature were recorded on our consolidated balance sheet outside of shareholders equity (deficit). The amended terms are disclosed below. Rank – the preferred stock ranks higher than other company issued equity securities in terms of distributions, dividends and other payments upon liquidation. Dividends – the preferred stock is entitled to cumulative dividends at a rate of 8% per annum of a preferred share’s stated value ($1,000 per share plus any unpaid dividends). The first dividend payment is due July 1, 2017 and then payments are to be made quarterly thereafter. At our discretion, dividend payments are payable in either cash, or if we satisfy certain equity issuance conditions, in shares of common stock. Pursuant to the October 14, 2016 amended terms, if we don’t satisfy equity issuance conditions, then we may elect to accrue the value of the dividend and add it to the preferred share’s stated value. Conversion – at the preferred stockholder’s discretion, each share of preferred stock is convertible into 333.3 shares of our common stock, subject to adjustment for any unpaid dividends. Prior to the October 14, 2016 amendment, the conversion rate was subject to anti-dilution protection for offerings consummated at a per-share price of less than $3.00 per common share. This down-round provision was removed as part of the October 14, 2016 amendment. Mandatory Redemption – unless previously converted, on May 20, 2020, at our option we will either redeem the preferred stock with (a) cash equal to $1,000 per share plus any unpaid dividends (Redemption Value), or (b) shares of common stock determined by dividing the Redemption Value by a conversion rate equal to the lower of (i) the conversion rate then in effect (which is currently $3.00) or (ii) 85% of the then trading price, as defined, of our common stock. As part of the October 14, 2016 amendment, a floor was established for all but 16,500 shares of preferred stock such that the redemption ratio cannot be below $0.50 per common share. For the 16,500 shares of preferred stock, a floor of $2.49 was already in place and remained unchanged. If we were to redeem with shares of common stock, the actual number of shares that would be issued upon redemption is not determinable as the number is contingent upon the then trading price of our common stock. Generally, if we were to redeem with shares, the number of common shares needed for redemption increases as our common stock price decreases. Because of the October 14, 2016 amendment, the maximum number of common shares issuable upon redemption is determinable given the redemption conversion floors. If we elect to redeem with shares of common stock, and we fail to meet certain conditions with respect to the issuance of equity, then we would be subject to a 20% penalty of the maturity redemption price, payable in either cash or shares of common stock. This penalty is subject to, and therefore possibly limited by, a $0.50 per share floor. Voting – except for certain matters that require the approval of the preferred stockholders, such as changes to the rights and preferences of the preferred stock, the preferred stock does not have voting rights. However, the holders of the preferred stock are entitled to appoint two board members and, under certain circumstances, appoint a third member. On July 9, 2015, we filed a registration statement with the Securities and Exchange Commission to register the shares issuable upon conversion of the preferred stock and exercise of the 2015 Warrants. The registration statement was declared effective in July 2015. We will use our best efforts to keep the registration statement effective. If we are in default of the registration rights agreement, and as long as the event of default is not cured, then we are required to pay, in cash, partial liquidation damages, which in total are not to exceed 6% of the aggregated subscription amount of $31.0 million. In the ordinary course of business we enter into transactions with related parties, primarily our equity method investee and entities owned and controlled by the Chairman of our Board of Directors. Information regarding transactions and amounts with related parties is discussed in Note 22, Related Party Transactions of our consolidated financial statements. In May 2014, the FASB Financial Accounting Standards Board (“FASB”) issued Accounting Standard Update (“ASU”) No. 2014-09, Revenue from Contracts with Customers, as a new Topic, (ASC) Topic 606. The new revenue recognition standard provides a five-step analysis of transactions to determine when and how revenue is recognized. The core principle is that a company should recognize revenue to depict the transfer of promised goods or services to customers in an amount that reflects the consideration to which the entity expects to be entitled in exchange for those goods or services. In August 2015, the FASB issued ASU No. 2015-14, Revenue from Contracts with Customers: Deferral of the Effective Date, which deferred the effective date of the new revenue standard for periods beginning after December 15, 2016 to December 15, 2017, with early adoption permitted but not earlier than the original effective date. This ASU must be applied retrospectively to each period presented or as a cumulative-effect adjustment as of the date of adoption. We are considering the alternatives of adoption of this ASU and we are conducting our review of the likely impact to the existing portfolio of customer contracts entered into prior to adoption. After completing our review, we will continue to evaluate the effect of adopting this guidance upon the Company’s results of operations, cash flows and financial position. Currently, we do not expect the adoption of this ASU to have a material impact on our financial statements except that there are significant additional reporting requirements under the new standard. In February 2016, the FASB issued ASU No. 2016-02, Leases. This ASU establishes a right-of-use (ROU) model that requires a lessee to record a ROU asset and a lease liability on the balance sheet for all leases with terms longer than 12 months. Leases will be classified as either finance or operating, with classification affecting the pattern of expense recognition in the income statement. This ASU is effective for fiscal years beginning after December 15, 2018, including interim periods within those fiscal years. A modified retrospective transition approach is required for lessees for capital and operating leases existing at, or entered into after, the beginning of the earliest comparative period presented in the financial statements, with certain practical expedients available. We are currently evaluating the impact of the pending adoption of this new standard on our financial statements and we have yet to determine the overall impact this ASU is expected to have. The likely impact will be one of presentation only on our consolidated balance sheet. Our leases currently consist of operating leases with varying expiration dates through 2021 and annual rent expense is approximately $1.7 million. In March 2016, the FASB issued ASU 2016-06, Derivatives and Hedging (Topic 815). This ASU is related to the embedded derivative analysis for debt instruments with contingent call or put options. This ASU clarifies that an exercise contingency does not need to be evaluated to determine whether it relates only to interest rates or credit risk. Instead, the contingent put or call option should be evaluated for possible bifurcation as a derivative in accordance with the four-step decision sequence detailed in FASB ASC 815-15, without regard to the nature of the exercise contingency. This ASU is effective for fiscal years, and for interim periods within those fiscal years, beginning after December 15, 2016. Early adoption is permitted. We are currently evaluating the impact of this ASU on our financial statements. In March 2016, the FASB issued ASU 2016-08, Revenue from Contracts with Customers (Topic 606). This ASU is related to reporting revenue gross versus net, or principal versus agent considerations. This ASU is meant to clarify the guidance in ASU 2014-09, Revenue from Contracts with Customers, as it pertains to principal versus agent considerations. Specifically, the guidance addresses how entities should identify goods and services being provided to a customer, the unit of account for a principal versus agent assessment, how to evaluate whether a good or service is controlled before being transferred to a customer, and how to assess whether an entity controls services performed by another party. This ASU has the same effective date as the new revenue standard, which is effective for fiscal years, and for interim periods within those fiscal years, beginning after December 15, 2017. We are evaluating the effect and methodology of adopting this new accounting guidance upon our results of operations, cash flows and financial position. We have begun to consider the alternatives of adoption of this ASU, and have started our review of the likely impact to the existing portfolio of customer contracts entered into prior to adoption. We will also continue to evaluate the effect of adopting this guidance upon our results of operations, cash flows and financial position. Currently, we do not expect the adoption of this ASU to have a material impact on our financial statements except that there are significant additional reporting requirements under the new standard. In March 2016, the FASB issued ASU 2016-09, Compensation-Stock Compensation (Topic 718). This ASU is related to simplifications of employee share-based payment accounting. This pronouncement eliminates the APIC pool concept and requires that excess tax benefits and tax deficiencies be recorded in the income statement when awards are settled. The pronouncement also addresses simplifications related to statement of cash flows classification, accounting for forfeitures and minimum statutory tax withholding requirements. This ASU is effective for fiscal years, and for interim periods within those fiscal years, beginning after December 15, 2016. Early adoption is permitted. This ASU will not have a material impact on our financial statements. In April 2016, the FASB issued ASU 2016-10, Revenue from Contracts with Customers (Topic 606): Identifying Performance Obligations and Licensing. This ASU is meant to clarify the guidance in FASB ASU 2014-09, Revenue from Contracts with Customers. Specifically, the guidance addresses an entity’s identification of its performance obligations in a contract, as well as an entity’s evaluation of the nature of its promise to grant a license of intellectual property and whether or not that revenue is recognized over time or at a point in time. This ASU has the same effective date as the new revenue standard, which is effective for fiscal years, and for interim periods within those fiscal years, beginning after December 15, 2017. We are considering the alternatives of adoption of this ASU and we continue to review the likely impact to the existing portfolio of customer contracts entered into prior to adoption. We will continue to evaluate the effect of adopting this guidance upon our results of operations, cash flows and financial position. We do not expect the adoption of this ASU to have a material impact on our financial statements except that there are significant additional reporting requirements under the new standard. In May 2016, the FASB issued ASU 2016-11, Revenue Recognition (Topic 605) and Derivatives and Hedging (Topic 815): Rescission of SEC Guidance Because of Accounting Standards Updates 2014-09 and 2014-16 Pursuant to Staff Announcements at the March 3, 2016 EITF Meeting. This ASU rescinds SEC paragraphs pursuant to two SEC Staff Announcements at the March 3, 2016 Emerging Issues Task Force (EITF) meeting. Specifically, registrants should not rely on the following SEC Staff Observer comments upon adoption of Topic 606: (1) Revenue and Expense Recognition for Freight Services in Process, which is codified in paragraph 605-20-S99-2; (2) Accounting for Shipping and Handling Fees and Costs, which is codified in paragraph 605-45-S99-1; (3) Accounting for Consideration Given by a Vendor to a Customer (including Reseller of the Vendor’s Products), which is codified in paragraph 605-50-S99-1; and (4) Accounting for Gas-Balancing Arrangements (i.e., use of the “entitlements method”), which is codified in paragraph 932-10-S99-5. This ASU becomes effective upon adoption of ASU 2014-09, which is effective for fiscal years, and for interim periods within those fiscal years, beginning after December 15, 2017. We have not yet begun to consider the alternatives of adoption of this ASU or its impact on our financial statements. In May 2016, the FASB issued ASU 2016-12, Revenue from Contracts with Customers (Topic 606): Narrow-Scope Improvements and Practical Expedients. This ASU does not change the core principle of the guidance in Topic 606. Instead, the amendments provide clarifying guidance in a few narrow areas and add some practical expedients to the guidance. This ASU has the same effective date as the new revenue standard, which is effective for fiscal years, and for interim periods within those fiscal years, beginning after December 15, 2017. We are currently evaluating the impact of the pending adoption of this new standard on our financial statements. We are considering the alternatives of adoption of this ASU. Currently, we do not expect the adoption of this ASU to have a material impact on our financial statements except that there are significant additional reporting requirements under the new standard. In June 2016, the FASB issued ASU 2016-13, Financial Instruments - Credit Losses (Topic 326): Measurement of Credit Losses on Financial Instruments. The amendments in this ASU replace the incurred loss impairment methodology in current U.S. GAAP with a methodology that reflects expected credit losses and requires consideration of a broader range of reasonable and supportable information to inform credit loss estimates. This ASU is effective for fiscal years, and for interim periods within those fiscal years, beginning after December 15, 2019. We have not adopted this ASU and currently we have determined there to be no impact of this ASU on our financial statements and related disclosures. In August 2016, the FASB issued ASU 2016-15, Statement of Cash Flows (Topic 230): Classification of Certain Cash Receipts and Cash Payments. The new guidance is intended to reduce diversity in practice in how transactions are classified in the statement of cash flows. This ASU is effective for fiscal years, and for interim periods within those fiscal years, beginning after December 15, 2017. Early adoption is permitted. We are currently evaluating the impact of this ASU on our financial statements and currently we have determined there to be no impact of this ASU on our financial statements and related disclosures. In January 2017, the FASB issued 2017-03, Accounting Changes and Error Corrections (Topic 250) and Investments - Equity Method and Joint Ventures (Topic 323): Amendments to SEC Paragraphs Pursuant to Staff Announcements at the September 22, 2016 and November 17, 2016 EITF Meetings. The amendments in this ASU add language to the SEC Staff Guidance in relation to ASU 2014-09, Revenue from Contracts with Customers (Topic 606), ASU 2016-02, Leases (Topic 842), and ASU 2016-13, Financial Instruments - Credit Losses (Topic 326). This ASU provides the SEC Staff view that a registrant should consider additional quantitative and qualitative disclosures related to the previously mentioned ASUs in connection with the status and impact of their adoption. We adopted this ASU during the current quarter 2016. Since this update intended to add disclosures related to certain ASUs, the adoption of this standard did not have a material impact on our financial statements. carrying amount exceeds the reporting unit’s fair value; however, the loss recognized is not to exceed the total amount of goodwill allocated to that reporting unit. In addition, income tax effects will be considered, if applicable. This ASU is effective for fiscal years, and interim periods within those fiscal years, beginning after December 15, 2019. Early adoption is permitted. We are currently evaluating the impact of this ASU on our financial statements and related disclosures. Revenues from our Digital Channels are recognized on a straight-line basis over the subscription period once the subscription has been activated. Revenues from home video exploitation, which includes IP Licensing and Wholesale Distribution revenues, are recognized upon meeting the recognition requirements of the Financial Accounting Standards Board Accounting Standards Codification (or ASC) 926, Entertainment—Films and ASC 605, Revenue Recognition. We generate our IP Licensing and Wholesale Distribution revenues primarily from the exploitation of acquired or produced content rights through various distribution channels. The content is monetized in DVD format to wholesalers, licensed to broadcasters including cable companies and digital platforms like Amazon and Netflix, and exploited through other windows such as VOD. Revenue is presented net of sales returns, rebates, unit price adjustments, sales return reserves, sales discounts and market development fund reserves. Revenues from our U.K. catalog sales are recognized, net of an allowance for estimated returns, once payment has been received from the customer and the items ordered have been shipped. Revenues from home video exploitation are recognized net of an allowance for estimated returns, as well as related costs, in the period in which the product is available for sale by our wholesale partners (at the point that title and risk of loss transfer to the customer, which is generally upon receipt by the customer and in the case of new releases, after “street date” restrictions lapse). Rental revenues under revenue sharing arrangements are recognized when we are entitled to receipts and such receipts are determinable. Revenues from domestic and international broadcast licensing and home video sublicensing, as well as associated costs, are recognized when the programming is available to the licensee and all other recognition requirements are met such as the broadcaster is free to air the programming. Fees received in advance of availability, usually in the case of advances received from international home video sub-licensees and for broadcast programming, are deferred until earned and all revenue recognition requirements have been satisfied. Provisions for sales returns and uncollectible accounts receivable are provided at the time of sale. Revenues from home video exploitation are recognized net of an allowance for estimated returns, as well as related costs, in the period in which the product is available for sale by our customers (at the point that title and risk of loss transfer to the customer, which is generally upon receipt by the customer and in the case of new releases, after “street date” restrictions lapse). Rental revenues under revenue sharing arrangements are recognized when we are entitled to receipts and such receipts are determinable. Revenues from domestic and international broadcast licensing and home video sublicensing, as well as associated costs, are recognized when the programming is available to the licensee and all other recognition requirements are met such as the broadcaster is free to air the programming. Fees received in advance of availability, usually in the case of advances received from international home video sub-licensees and for broadcast programming, are deferred until earned and all revenue recognition requirements have been satisfied. Provisions for sales returns and uncollectible accounts receivable are provided at the time of sale. the customer has the right to return such product and receive a credit. Actual returns could differ from our estimates and current provisions for sales returns and allowances, resulting in future charges to earnings. Estimates of future sales returns and other credits are subject to substantial uncertainty. Factors that could negatively impact actual returns include retailer financial difficulties, the perception of comparatively poor retail performance in one or several retailer locations, limited retail shelf space at various times of the year, inadequate advertising or promotions, retail prices being too high for the perceived quality of the content or other comparable content, the near-term release of similar titles, and poor responses to package designs. Underestimation of product sales returns and other credits would result in an overstatement of current revenues and lower revenues in future periods. Conversely, overestimation of product sales returns would result in an understatement of current revenues and higher revenues in future periods. Investments in content include the unamortized costs of completed and uncompleted films and television programs that were acquired or produced. Within the carrying balance of investments in content are development and production costs for films and television programs which are acquired or produced. Royalty and Distribution Fee Advances – When acquiring titles, we often make a royalty and distribution fee advances that represent a fixed minimum payments made to program suppliers for exclusive content distribution rights. A program supplier’s share of exclusive program distribution revenues is retained by us until the share equals the advance(s) paid to the program supplier plus recoupable costs. Thereafter, any excess is paid to the program supplier. In the event of an excess, we also record, as content amortization and royalties – a component of cost of sales, an amount equal to the program supplier’s share of the net distribution revenues. Original Production Costs – For films and television programs produced by RLJE, original production costs include all direct production and financing costs, as well as production overhead. Unamortized content investments for our |Digital Channels are charged to content amortization and royalties using the straight-line method over the license term for which the content is available to the Digital Channels. For IP Licensing and Wholesale Distribution, unamortized content investments are charged to content amortization and royalties as revenues are earned in the same ratio that current period revenue for a title or group of titles bears to the estimated remaining unrecognized ultimate revenue for that title. Ultimate revenue includes estimates over a period not to exceed ten years following the date of initial release, or for episodic television series a period not to exceed 10 years from the date of delivery of the first episode or, if still in production, five years from the date of delivery of the most recent episode, if later. Investments in content are stated at the lower of amortized cost or estimated fair value. The valuation of investments in content is reviewed on a title-by-title basis, when an event or change in circumstances indicates that the fair value of a film or television program is less than its unamortized cost. Additional amortization is recorded in the amount by which the unamortized costs exceed the estimated fair value of the film or television program. Estimates of future revenue involve measurement uncertainty and it is therefore possible that reductions in the carrying value of investment in films and television programs may be required as a consequence of changes in management’s future revenue estimates. Content programs in progress include the accumulated costs of productions, which have not yet been completed, and advances on content not yet received from program suppliers. We begin to amortize these investments once the content has been released. The costs to produce licensed content for domestic and international exploitation include the cost of converting film prints or tapes into the optical disc format. Depending on the platform for which the content is being exploited, costs may include menu design, authoring, compression, subtitling, closed captioning, service charges related to disc manufacturing, ancillary material production, product packaging design and related services. These costs are capitalized as incurred. A percentage of the capitalized production costs are amortized to expense based upon: (i) a projected revenue stream resulting from distribution of new and previously released content related to such production costs; and (ii) management’s estimate of the ultimate net realizable value of the production costs. Estimates of future revenues are reviewed periodically and amortization of production costs is adjusted accordingly. If estimated future revenues are not sufficient to recover the unamortized balance of production costs, such costs are reduced to their estimated fair value. For each reporting period, we review the value of inventories on hand to estimate the recoverability through future sales. Values in excess of anticipated future sales are recorded as obsolescence reserve. Inventories consist primarily of packaged goods for sale, which are stated at average cost, as well as componentry. Goodwill represents the excess of acquisition costs over the tangible and identifiable intangible assets acquired and liabilities assumed in a business acquisition. Goodwill is recorded at our reporting units, which are consolidated into our reporting segments. Goodwill is not amortized but is reviewed for impairment annually on October 1st of each year or between the annual tests if an event occurs or circumstances change that indicates it is more-likely-than-not that the fair value of a reporting unit is less than its carrying value. The impairment test follows a two-step approach. The first step determines if the goodwill is potentially impaired, and the second step measures the amount of the impairment loss, if necessary. Under the first step, goodwill is considered potentially impaired if there are subjective characteristics that suggest that goodwill is impaired or quantitatively when the fair value of the reporting unit is less than the reporting unit’s carry amount, including goodwill. Under the second step, the impairment loss is then measured as the excess of recorded goodwill over the fair value of the goodwill, as calculated. Determining the fair value requires various assumptions and estimates, which include consideration of the future, projected operating results and cash flows. Such projections could be different than actual results. Should actual results be significantly less than estimates, the value of our goodwill could be impaired in future periods. Other intangible assets are reported at their estimated fair value, when acquired, less accumulated amortization. The majority of our intangible assets were recognized as a result of the Business Combination. As such, the fair values of our intangibles were recorded in 2012 when applying purchase accounting. Additions since the 2012 Business Combination are limited to software expenditures related to our websites and various digital platforms such as Roku and AppleTV. Similar to how we account for internal-use software development, costs incurred to develop and implement our websites and digital platforms are capitalized in accordance with ASC 350-50, Website Development Costs. Website operating costs are expensed as incurred. Costs incurred for upgrades and enhancements that provide additional functionality are capitalized. Amortization expense of our other intangible assets is generally computed by applying the straight-line method, or based on estimated forecasted future revenues as stated below, over the estimated useful lives of trade names (11 to 15 years), websites and digital platforms (three years), supplier contracts (seven years), customer relationships (five years), options on future content (seven years) and leases (two years). The recorded value of our customer relationships is amortized on an accelerated basis over five years, with approximately 60% being amortized over the first two years (through 2014), 20% during the third year and the balance ratably over the remaining useful life. The recorded value of our options on future content is amortized based on forecasted future revenues, whereby approximately 50% is being amortized over the first two years (through 2014), 25% during the third year and the balance in decreasing amounts over the remaining four years. Additional amortization expense is provided on an accelerated basis when the useful life of an intangible asset is determined to be less than originally expected. Other intangible assets are reviewed for impairment when an event or circumstance indicates the fair value is lower than the current carrying value. We have warrants outstanding to purchase 30.1 million shares of our common stock. Warrants issued in 2012 to acquire 7.0 million shares of common stock contain a provision whereby the exercise price will be reduced if RLJE is reorganized as a private company. Because of this provision, these warrants are accounted for as a derivative liability in accordance with ASC 815-40, Contracts in Entity’s Own Equity. Derivative liability warrants are carried on our consolidated balance sheet at their fair value with changes in fair value being included in the consolidated statement of operations as a separate component of other income (expense). In May 2015, we issued additional warrants to acquire 3.1 million shares of our common stock. We were accounting for these warrants as a derivative liability because, among other provisions, the warrants contained a provision that allows the warrant holders to sell their warrants back to us, at their discretion, at a cash purchase price equal to the warrants’ then fair value, upon the consummation of certain fundamental transactions, such as a business combination or other change-in-control transactions. In October 2016, the 2015 warrants were amended and they are now being accounted for within shareholders’ equity (deficit). In October 2016, we issued three separate warrants to our senior lender to acquire a total of 20.0 million shares of our common stock. For one of these warrants issued to acquire 5.0 million shares of common stock, we are accounting for the warrant as a derivative liability because the warrant contains a provision that may increase the number of shares acquirable for no additional consideration. This increase is contingent upon the number of shares of common stock outstanding at the time of exercise. Our preferred stock is convertible into shares of common stock at an exchange rate equal to 333.3 shares of common stock for each share of preferred stock, subject to adjustment for any unpaid dividends. The conversion rate is subject to certain anti-dilution protections. Those protections did include an adjustment for offerings consummated at a per-share price of less than $3.00 per common share. Because of this potential adjustment to the conversion rate, we had bifurcated the conversion feature from its host instrument (a preferred share) and we were accounting for the conversion feature as a derivative liability. In October 2016, we amended the conversion feature to avoid liability accounting and as such we now account for the conversion feature as part of the host instrument. We account for income taxes pursuant to the provisions of ASC 740, Income Taxes, whereby deferred tax assets and liabilities are recognized for the future tax consequences attributable to differences between the financial statement carrying amount of existing assets and liabilities and their respective tax bases and the future tax benefits derived from operating loss and tax credit carryforwards. We provide a valuation allowance on our deferred tax assets when it is more likely than not that such deferred tax assets will not be realized. ASC 740 requires that we recognize in the consolidated financial statements the effect of a tax position that is more likely than not to be sustained upon examination based on the technical merits of the position. The first step is to determine whether or not a tax benefit should be recognized. A tax benefit will be recognized if the weight of available evidence indicates that the tax position is more likely than not to be sustained upon examination by the relevant tax authorities. The recognition and measurement of benefits related to our tax positions requires significant judgment as uncertainties often exist with respect to new laws, new interpretations of existing laws, and rulings by taxing authorities. Differences between actual results and our assumptions, or changes in our assumptions in future periods, are recorded in the period they become known. For tax liabilities, we recognize accrued interest related to uncertain tax positions as a component of income tax expense, and penalties, if incurred, are recognized as a component of operating expense. We typically acquire content via separately executed licensing or distribution agreements with content suppliers. These contracts generally require that we make advance payments before the content is available for exploitation. Advance payments are generally due prior to and upon delivery of the related content. To the extent payment is not due until delivery has occurred, we do not recognize our payment obligations under our licensing and distribution agreements prior to the content being delivered. As of December 31, 2016, we had entered into licensing and distribution agreement for which we are obligated to pay $7.9 million once the related content has been delivered. A table with our contractual commitments is not required for smaller reporting companies within our MD&A. For information regarding our contractual commitments refer to Note 10, Debt and Note 21, Commitment and Contingencies to our consolidated financial statements. Item 7A. Quantitative and Qualitative Disclosures about Market Risk is not required for smaller reporting companies.